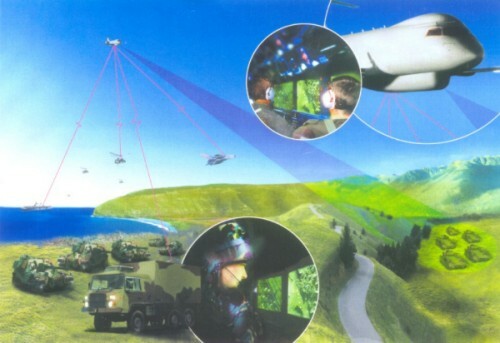 On 3 Aug 04 the US Army Communications Electronics Command awarded Lockheed Martin Corporation a $879 million contract for the System Development and Demonstration (SDD) phase of the Aerial Common Sensor (ACS) programme. 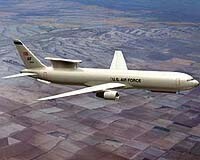 The ACS programme will eventually produce a single next generation ISR and target identification system to replace the US Army’s RC-12 Guardrail Common Sensor and RC-7/EO-5B Airborne Reconnaissance Low aircraft, together with the US Navy’s P-3 Orion. The contract has a potential value of over $7 billion over the expected 20-year life of the programme. The Lockheed Martin entry beat a consortium of Northrop Grumman and General Dynamics Gulfstream who offered a system based on the Gulfstream G450 that would probably have been very similar to their proposed EC-37SM. Although the G450 did have a longer range and higher operational ceiling than the Lockheed entry, the acquisition and operating costs were much higher and in the end, this was probably the biggest factor in the eventual decision. Under the SDD contract Lockheed Martin will combine and develop the capabilities of the current systems on the three aircraft it is replacing into a single airborne Reconnsissance, Intelligence, Surveillance and Target Acquisition (RISTA) system based on the Embraer EJR-145 aircraft. Lockheed Martin are contracted to deliver five mission ready aircraft by 2006, then if the trials are successful, a follow-on low rate initial production contract will probably follow in 2007 with a full rate production contract in 2009. The basic commercial Embraer EJR-145 will be militarised and modified to increase its range and payload and all the aircraft will be assembled at a new factory at Cecil Field, Jacksonville, Florida. The Lockheed Martin ACS design features an integrated sensor- computer that will pinpoint threats in real-time, fusing together intelligence from manned, unmanned and space based ISR systems. The ACS sensors incorporate a mission-tailorable multisource suite of sensors that include Signals Intelligence (SIGINT), Image Intelligence (IMINT), Measurement and Signatures Intelligence (MASINT) and Moving Target Indicator (MTI). The IMINT suite includes Synthetic Aperture Radar (SAR/Ground Moving Target Indicator (GMTI) radar and an electro-optical (EO) and Infra-Red (IR) sensor. Current plans call for 34 aircraft being built for the US Army and a further 19 for the US Navy. As the ACS programme progressed additional capabilities were demanded of the platform which necessitated additional equipment in an already crowded airframe – eventually something had to give. In mid-January 2006 the Army ended Lockheed Martin’s contract for the design and development of the ACS, having decided that Lockheed Martin’s choice of aircraft platform, the Embraer ERJ-145 business jet, was simply too small to carry the revised electronics package. Lockheed Martin had actually been warned by the US Army in September 2005 that the Embraer ERJ-145 was likely to be too small and asked them to propose other options. Lockheed Martin suggested switching to the larger Bombardier Global Express, however, the US Army decided that the aircraft was an integral part of the overall program and remained to be convinced that this change would actually work. I doubt whether this decision has really surprised many of those who have followed the ACS programme. If ever there was a case of attempting to fit a quart into a pint pot this programme was it. Attempting to amalgamate the capabilities contained separately in the Army’s RC-7B Airborne Reconnaisance Low and RC-12 Guardrail, as well as the US Navy’s EP-3E Aries II in an airframe not much larger than the RC-7B was always going to be extremely challenging, to put it mildly. In a new platform that had to be ‘all things to all men’ for the next 20 years, the temptation to keep adding new requirements was always going to be too difficult to resist. The ACS programme is still going ahead, but has been renamed the Airborne Common Sensors programme and other larger aircraft platforms, such as the Gulfstream G550, the Airbus A320 and the Boeing 737, will now be considered. With this in mind, Boeing have already announced plans for a SIGINT version of their 737-based P-8A MMA planned for the US Navy. Given the considerable additional room and the commonality this platform would provide with the P-8A MMA, I would imagine this option will eventually become the preferred option. Probably the biggest RAF procurement decision in the future will be whether to buy an ‘off-the-shelf’ UCAV from America or to rely on UK industry (BAe) to build a UK version. It has recently been revealed that BAe are already test flying a stealthy demonstrator UCAV called Nightjar, presumably in the hope of eventually attracting an MOD order in competition with the Boeing X-45 and Northrop X-47 UCAVs. 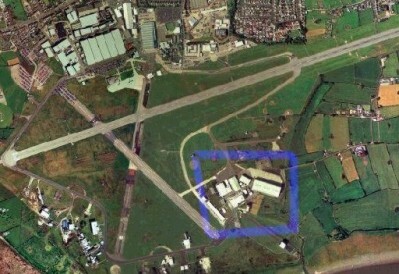 The Nightjar has been developed, partially with MOD funding, out of the public gaze in group of hangers on the south side of Warton aerodrome, on the opposite side of the runway from the main manufacturing area. In these hangers BAe have a small ‘Skunk Works’ in which classified full-sized technology demonstrators are assembled and tested. The area also has a low-speed wind tunnel, a hot gas test stand together with a variety of electronic warfare and electromagnetic test facilities. The Nightjar programme is almost certainly a follow-on to the work already done by BAe on a £20m programme known as Replica which started in 1994 and ended in 1999. 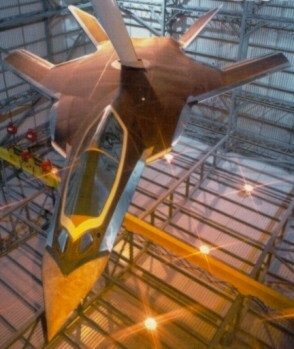 In March 2003 BAe released a photograph of Replica undergoing testing in their radar cross-section testing hanger at Warton. On the other hand Nightjar may be a completely new design based on the lessons learnt from this Replica programme. If the Nightjar is a completely new design I suspect it will almost certainly be a tailless delta winged shape, with an engine intake mounted above the fuselage, very similar to the Dassault Neuron and the Boeing X-45C, as various designers have discovered that this appears to be the optimum shape for a stealthy UCAV. It’s possible that the Nightjar has been test flown out of Warton, but as the area surrounding the airfield in fairly heavily populated, I imagine that most of the Nightjar testing will have taken place at a more remote location such as Machrihanish on the Mull of Kintyre in Scotland or Aberporth in Wales. The name Nightjar gives a less than subtle clue to when the testing has taken place, so it’s hardly surprising that no photographs have yet been obtained of this new UCAV. 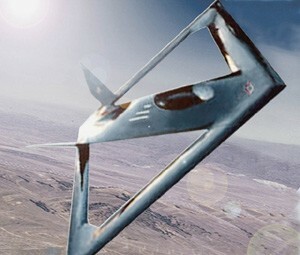 The Nightjar programme is certainly directed at the planned SUAVE, the MOD’s Strategic Unmanned Aerial Vehicle Experiment (SUAVE), during which a whole range of UAV and UCAV technologies will be tested and inform a number of procurement decisions which will eventually lead to a replacement for the capability currently provided by the Tornado. If Nightjar has been a success, it will have shown that the necessary technology base exists in the UK to build an effective UCAV and this presumably will have given UK industry a ‘bargaining position’ when earlier this year the MOD joined the US Joint Unmanned Combat Air Systems programme. However, the key to developing an effective UCAV will be the onboard software that must allow the vehicle to operate safely and yet autonomously, whilst exchanging information with other UCAVs and relaying operating data back to ground stations. Given the UK’s sad and expensive history of defence procurement disasters, particularly involving complex software, I can only hope that this time BAe, or whoever, they subcontract, to get it right first time. If, in the future, the UK armed forces are always likely to be involved in coalition operations working alongside their US counterparts, it would probably make more sense to buy the same UCAV as they will eventually operate, to overcome the compatibility problems that have bedevilled joint operations in the past. If past UK military procurement history is anything to go by, it’s more likely that the usual domestic politics will take centre stage and become the over-riding factor in a vital procurement decision that will have long-term consequences for the UK’s armed forces in general and the RAF in particular. 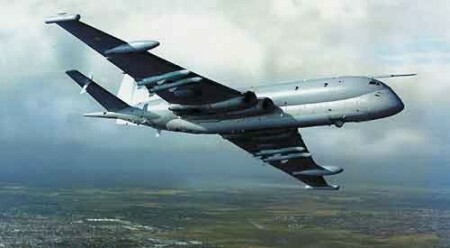 In the early 1960s the search for a replacement for the RAF’s Shackleton maritime patrol aircraft was resolved when the MOD decided to order a redesigned version of the Comet airliner – the HS 801 Nimrod. On 19 Jan 1966 a contract for 38 production aircraft was signed and the type entered service in 1969. 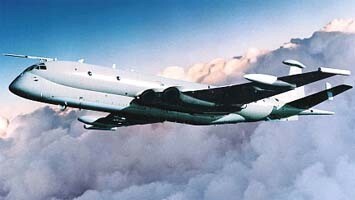 The Nimrod has proved to be an excellent aircraft and ideally suited for the role it was originally intended – the worlds only jet powered maritime patrol and anti-submarine warfare aircraft. The aircraft were upgraded, from MR1 to MR2, during the late 1970s and early 1980’s, when the Searchwater radar replaced the ASV21 and the new AQS 901 acoustic system was installed. 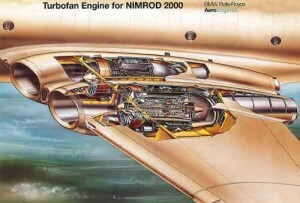 However, by the early 1990s it was becoming apparent that a replacement aircraft was required; the airframe, engines and avionics were all starting to show their age and the only sensible solution was a new aircraft that could take advantage of significant improvements in aerodynamics, engine performance, avionics and onboard equipment. The basic requirement for the new aircraft was agreed and in Nov 1992 a study took place to determine the outline specification for the replacement aircraft. At first it appeared likely that the MR2s would be given another upgrade and refurbished, but when this proved too expensive, attention switched to the purchase of a new version of the Lockheed P-3 Orion, known as the P-7, that the US Navy intended to purchase. When the US Navy decided not to order the P-7 the programme stalled, leaving the RAF to cast around and consider other options. A competitive tendering phase between potential contractors began in Jan 1995 and then, on 2 Dec 1996, BAe systems were awarded a fixed-price contract as sole prime contractor, design authority and platform & systems integrator for the new aircraft – known then as Nimrod 2000. 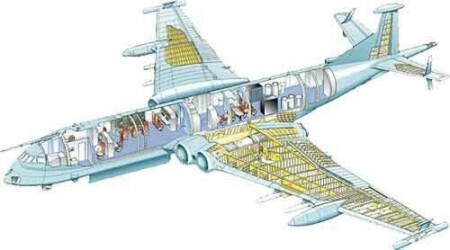 However, to reduce the overall cost, and in keeping with the MOD/Treasury’s desire for a Commercial Off The Shelf (COTS) solution, BAe proposed using the fuselages from a number of current Nimrod MR2s. The original contract called for 21 fully equipped aircraft, but this figure was later reduced to 18 after the MOD re-assessed the future threats and the improvements gained by the use of updated equipment. Perhaps the most significant change that has affected the design of the new aircraft was the disintegration of the old Warsaw Pact and with it the majority of the submarine threat in the North Atlantic. As the threat from Warsaw Pact submarines fell away, and with it the need for the MR2 to help protect UK SSBNs from attendant Soviet SSNs, it was clear that in this new environment more effective use needed to be made of these capable aircraft. In response to these changes, four MR2 aircraft were fitted with electro-optical cameras and these aircraft have been used frequently for overland surveillance missions, a task complimented by the aircrafts extensive communication equipment, enabling it to operate as a very effective comms relay for other units. During Operation Iraqi Freedom, these specially equipped MR2s operated from Prince Sultan Airbase in Saudi Arabia and flew over western Iraq using their cameras and Orange Crop Electronic Support Measures (ESM) equipment in support US, British and Australian Special Forces. 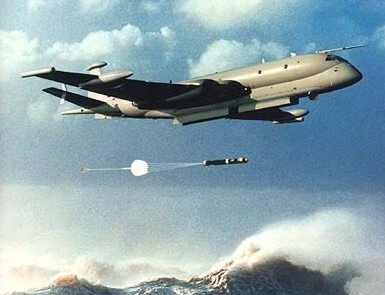 In recognition of the new roles undertaken by the MR2 and the roles planned for the replacement aircraft, the Nimrod 2000 was renamed the Nimrod Maritime, Reconnaissance and Attack Mk 4 in early 1998. Given the nature of the current threat, there is every likelihood that the new aircraft will spend far more time on reconnaissance, ELINT and comms relay duties, than on traditional maritime patrols, complimenting the 3 continually over-tasked ELINT Nimrod R1s of 51 Sqn. The most controversial decision taken by BAe in their study to determine the design for the MRA4, was to refurbish and reuse the fuselages of a number of old Nimrods for the new aircraft. To some extent this decision was driven by the desire of the MOD to procure a derivative of an existing aircraft. Although this decision probably enabled BAe to lower their overall bid for the contract, whilst probably also appearing to be really efficient to some Treasury bean-counter, in the event this decision created some unforseen problems and has contributed significantly to the long delay in the aircraft entering service. In retrospect, it would probably have been easier to have built completely new fuselages and although the original jigs were destroyed by BAe some time ago, reopening a complete assembly line would have enabled any number of aircraft to be built and the aircraft to be marketed and sold to other countries. The first 3 fuselages to be refurbished were stripped of all equipment and flown from Kinloss to FRA/Serco at Bournemouth Hurn between Feb 14-16 1997, inside an Antonov An-124. FRA/Serco were sub-contracted by BAe to completely re-life the fuselages to give another 25 years of service, but it soon became obvious that they could not meet the planned timetable within the agreed costs. Eventually, the aircraft were transferred back to BAe Woodford for the work to be completed, but by the time everything had been sorted out, this resulted in the entire programme slipping 23 months. To describe the Nimrod MRA4 simply as a refurbished Nimrod MR2 is to ignore the fact that the aircraft that will eventually emerge is to all intents and purposes a new aircraft. In fact the only the parts of the old MR2 fuselage that are being refurbished and retained are the fuselage pressure cell and empennage – everything else including the cabin pressure floor, bomb bay area, wings and undercarriage are newly designed and manufactured. At the front end, the new ‘all-glass’ cockpit will incorporate a flight deck using automated flight systems, based on modified Airbus 340 technology, allowing a 2 pilot operation without the flight engineer and routine navigator currently employed in the MR2. 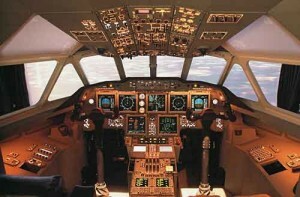 Some informed commentators view the reduction in front cockpit crew as a mistake, as the addition of a Tactical Display in the cockpit could easily distract the pilots from their most important function – to fly the aeroplane. The new wing, with 12ft more span and comprising a 23% greater area than the old MR2 wing, will also have 4 underwing hardpoints wired to allow the carriage of a variety of weapons including Harpoon, ATARM, ASRAAM, SLAM-ER, Maverick, Sidewinder and Storm Shadow, giving the aircraft an impressive offensive capability. The other really significant difference in the new wing are the much larger air intakes for the four RRD BR710 high-bypass turbofan engines, each one providing some 14,900 lbs of static thrust, These modern high technology modular engines will provide 25% more thrust than the old RR Spey engines and yet use 30% less fuel. Inside the fuselage, and linked by MIL-STD 1553B databusses, will be a Tactical Command System (TCS) developed by Boeing from their TMS-2000 system and running on fibre optics. The TCS is a powerful data distribution and display programme, using a Windows based operating system that will allow data to be displayed on 7 reconfigurable high-resolution multifunctional workstations. The sensors include the Thales Searchwater 2000MR multimode search radar that can provide pulse Doppler modes for air-to-air search and Synthetic Aperture Radar (SAR) for ground mapping and Inverse Synthetic Aperture Radar (ISAR) for identifying targets. For the ASW task the aircraft will be fitted with the CDC/Ultra UYS503/AQS970 acoustic processor, a development of the excellent system currently installed on the RAAF AP-3C Orion. To provide an advanced visual search capability, the Northrop Grumman Nighthunter Electro-Optical Search and Detection System (EOSDS) will also be installed under the nose in a retractable ball turret. Using TV cameras and infra-red sensors, the EOSDS will add significantly to the aircrafts search and rescue and vessel identification capability. Data taken by the EOSDS will be recorded using the Super VHS format. However, perhaps the most significant item of new equipment on the MRA4 will be the Israeli Elta EL/L-8300UK Electronic Support Measures (ESM) suite – which in reality is more of an ELINT system than anything else. 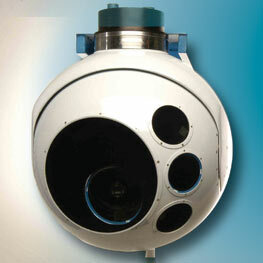 This comprehensive and capable system will be able to identify and classify an extensive range of radars carried by ships or aircraft and will be one of a number of items of equipment carried that will give the aircraft a significant ELINT capability and make the aircraft a very useful adjunct to the Nimrod R1. Also fitted will be a fully integrated Defensive Aids Sub-System (DASS) comprising a Radar Warning Receiver (RWR), a Missile Approach Warner (MAW), a Towed Radar Decoy (TRD), chaff dispensers and Infra-Red Countermeasures (IRCM) flares. The communications capability of the MRA4 will be particularly impressive with 5 V/UHF radios, incorporating Have Quick II secure comms, 2 HF radios, a teletype Modem / Link 11 / Link 16 JTIDS data links and SHF SATCOM. The fuselage will house the 8 mission crew. Currently these will comprise a radar operator, an ESM operator, a communications manager, two tactical co-ordinators, two acoustic operators and one additional dry operator capable of handling either radar or above water communications as necessary. To make the most efficient use of the available manpower, I would imagine some operators will be cross-trained and additional crew carried depending on the planned mission. A number of significant problems have been encountered during the development and construction of the Nimrod MRA4 and these have resulted in lengthy programme delays and the in-service date slipping 6 years from 2003 to 2009. 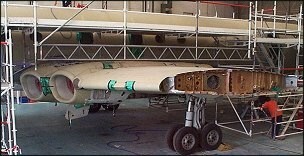 The inability of FRA/Serco to complete the initial work on the fuselage created the first delay. Then a further delay was caused when they tried to attach the new wing to the old fuselage. The old MR2 wings and fuselages were constructed before the days of CAD / CAM and were built in jigs and then mated by tradesmen hammering & filing the metal to fit as BAe Nimrod MRA4 - intakes necessary – as a result each fuselage was slightly different, in some cases by up to 4 inches. Consequently, when a new wing designed on CADDS5 and manufactured with great precision was presented to the old fuselage, unsurprisingly it didn’t fit. It also probably didn’t help that the re-lifted fuselage was designed on a different CAD system, CATIA, and that the teams had used one fuselage to establish certain datum points and then discovered that the first fuselage they worked on was subtly different. When the Nimrod MRA4 eventually enters service, provided it achieves its design goals, it will be an impressive and capable aircraft with twice the patrol endurance of the MR2. It should have a range of over 6000 miles, an endurance of over 15 hours, carry a much wider range of offensive weapons and have a significant ISTAR capability. In comparison to the proposed Boeing 737-700 BAe Nimrod MRA4 - PA1 under construction MMA, the Nimrod MRA4 will have much longer range, endurance, weapons load and additional capabilities and not forgetting twice the number engines. There is no doubt that the MRA4 is a very complex aircraft – it will carry around 5.4 million lines of computer code, making it around 3 times as complex as the B-2 Spirit stealth bomber. However, at current prices the programme is likely to cost in excess of £3.4 billion and, if the history of this project and MOD procurement in general is anything to go by, the final cost will creep inexorably towards £4 billion, making the eventual aircraft easily be the most expensive ever operated by the RAF. Because of the recurring problems with this programme, in Feb 03 the MOD and BAe systems eventually agreed changes to the contract structure. Now the contract for the Research and Development (R&D) phase for the MRA4 has been split from the production phase. Currently only the first 3 aircraft are included in the R&D contract, the production contract for the remaining 15 aircraft will be negotiated when the various systems are validated on the first 3 aircraft. When the dust has settled, I hope that the MOD & BAe both eventually produce honest internal reports of what has gone wrong with this programme and why it happened, but sadly given the nature of these projects, the timescales involved and the changeover of the personnel involved, this is unlikely to ever happen. In retrospect it would have certainly been easier to have just manufactured a completely new fuselage and then perhaps the new aircraft could have been re-named Nemesis or something similar and wouldn’t have carried the ‘baggage’ of being just a refurbished Nimrod MR2. To put it mildly, the Nimrod MRA4 programme was and still is very ambitious and BAe Systems appear to have completely under-estimated the complexity and quantity of work necessary to achieve their proposal, together with the associated costs. Despite many rumours to the contrary, I very much doubt the aircraft will be ever be cancelled because, when it does eventually enter service, it will add precisely the Network Enabled Capability sought by the MOD and considered essential for the type of conflicts that UK forces are likely to be involved in over the next 3 decades. Huge political, as well as financial, capital has been invested in this aircraft and current reports indicate that the worse may just about be over and that ground runs have already commenced. Hopefully the aircraft should make its first flight by the end of Jul 04, but only the most optimistic observer would suggest that anything other than a long and rocky road still lies ahead. As various nations begin to take delivery of, or make plans to acquire, 4th generation fighter aircraft, they are also considering how to make the most affective use of these highly capable aeroplanes. Recent conflicts in the Middle East have once again served to remind those tasked with planning future operations, that the deployment and effective operation of an AEW&C system, working in conjunction with modern fighter aircraft, is an essential part of any successful modern air campaign. For many years the only real options available to countries wishing to purchase this capability were the Grumman E-2C Hawkeye and the Boeing E-3 Sentry. However, as the Israel air force discovered, the E-2C is optimised for over-water operations and its small size limited both the crew numbers and equipment carried. The E-3, whilst highly capable, is much larger, as well as being very expensive to both purchase and operate - consequently it was beyond the reach of most nations. The E-3 was based on the last of the old 707 airframes made by Boeing that, although tried and tested, used fairly old technology. Consequently, when Japan eventually decided to acquire an Airborne Warning And Control System (AWACS) capability after the 707 assembly line had closed down, their only option was to buy four Boeing 767 AWACS – an much more modern and capable aircraft, but so prohibitively expensive that Boeing have so far received no other orders for this type of aircraft. One of the main reasons Boeing used the large, long-range 707 and 767 airframes for the AWACS was the need to carry the heavy Northrop Grumman AN/APY-2 radar, mounted inside a radome above the rear fuselage, whilst also having sufficient room within the fuselage for a large crew and a considerable amount of avionic equipment. However, because these expensive aircraft have only sold in limited numbers, Boeing have decided that a different approach is required if they are to have any chance of capturing the bulk of the estimated $30 million market for AEW&C systems over the next decade. 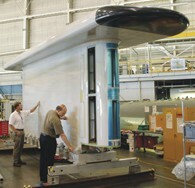 In response to this potential market, Boeing has developed their next generation AEW&C system, basing the platform on the latest version of their highly successful 737 commercial airliner – the 737-700 IGW (Increased Gross Weight), based on the airframe used for the Boeing Business Jet, but without the winglets. This modern airframe offers state of the art avionics, together with modern fuel-efficient CFM International CFM56-7B24 engines, providing a range of 3000nm together with an operating ceiling of 41,000ft. Most aircraft are likely to be fitted with an air-to-air refuelling system, either a probe or a flying boom receptacle. Typically the aircraft will operate with 2 pilots and between 6 and 10 mission crew. However the use of the 737-700 in the AEW&C role has only been possible because of considerable advances in radar technology and avionics, enabling an AEW&C system, with similar capability to the E-3A, to be carried on and within a much smaller aircraft. The most obvious change is in the radar – instead of a 30ft rotating radome, the 737 will be equipped with the latest generation Northrop Grumman MESA (Multi-Role Electronically Scanned Array) L band radar, contained within a low drag fairing mounted above the rear fuselage. 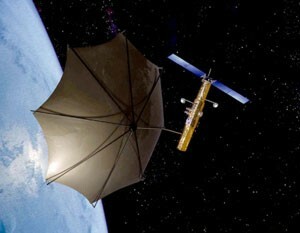 The fairing is an advanced ultra-light foam composite sandwich structure that supports side-emitting electronic manifold arrays and a ‘top hat’ end-fire array - using these three innovative apertures, sharing transmit and receive modules, the MESA will achieve 360 degree coverage out to a range of over 200nms. The MESA will provide multiple surveillance applications, using a variety of pulse radar forms for both air and sea search, as well as having an integrated civil and military IFF capability with a range of over 300 miles. The MESA and associated systems can track over 3000 air and sea targets simultaneously whilst continuously scanning the area of operations. In Dec 00 under Project Wedgetail, Australia placed an order for four 737 AEW&C aircraft, with an option for 2 additional aircraft, in a contract worth $2.7 billion. The Wedgetail 737 AEW&C will be equipped with 6 identical multi-functional consoles, operating a Boeing designed Open Systems Architecture (OSA) mission system that uses 80% Commercial Off The Shelf (COTS) software. An extensive range of communications suite will also be installed, including HF, VHF, UHF communication systems together with Link 4A and Link 11 systems. The missions systems also include an Electronic Support Measures (ESM) and Electronic Warfare Self Protection (EWSP) systems supplied by Elta Electronics of Israel, giving the aircraft a considerable ELINT capability. To provide additional safety against Man Portable Air Defence Systems (MANPADS), Northrop Grumman will supply their AN/AAQ-24(V) Nemesis Directional Infrared Countermeasures (DIRCM) system, augmented with a Viper solid state multi-band laser. The first aircraft was rolled out in Mar 04 and should make its first flight in May 04. The first two aircraft should be delivered to Australia in Nov 2006, with another two following in mid-2007. Initial operational capability is planned for mid-2008. The aircraft will be operated by 2 Sqn based at RAAF Williamtown. Turkey has also had a long-standing requirement for an AEW&C aircraft and the recent plan by Greece to acquire the EMB-145SA has focused their attention on the 737 AEW&C aircraft. In Jul 02 Boeing won a $1.5 billion contract from Turkey to supply four 737 AEW&C aircraft from 2007. However, a Turkish parliamentary anti-corruption commission is currently investigating a number of allegations, including broken cost and technology transfer commitments, which formed part of this contract. 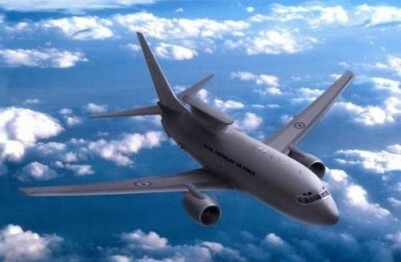 The allegations seem to imply that Turkey did not negotiate as good a contract for the four 737 AEW&C as Australia, but the issues will almost certainly be resolved without the delivery dates being affected. On 20 May 04 the first Boeing 737 AEW&C 'Wedgetail' got airborne from Boeing Field in Seattle at 10.15am flown by Boeing test pilots Charles Gebhardt and co-pilot Ray Craig. During the 2 hour test flight various tests of the aircraft's systems and structures took place. Gebhardt reported that that there were no porblems with the handling, which was very similar to the 737-700. Flight testing is scheduled to continue through to mid-December 04. However in early 2005 Boeing suspended flight and radar tests of the first aircraft to allow significant modifications to be made to the MESA radar. It is believed that during certain tests problems with the performance of the MESA radar became apparent. To overcome this problem the height of the 'top hat' will be raised and this work will take at least a month or even longer, however, Boeing are confident that this problem can be resolved. 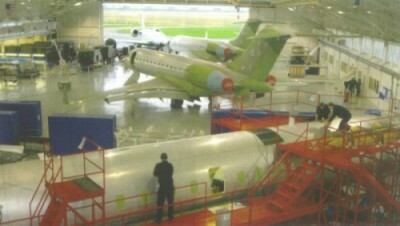 Delivery of the first two aircraft is still planned for Nov 2006, with the next two following in 2007. Cost and technology transfer have been the main inhibitors in limiting the spread of AEW&C systems to developing air forces. Boeing believes that the future platform for AEW&C systems is the large business jet and the evidence would suggest that other companies agree. With the Embraer SA-145 already in the market and Gulfstream developing the G500 into a compact AEW&C system for the Israeli Air Force, in the 737 AEW&C system Boeing would appear to have a product that will sit neatly between these more ‘compact’ systems and the much larger 767 AEW&C. The Lockheed P-3 Orion has been operated by the US Navy for nearly 40 years as their primary maritime patrol, ASW, anti-surface warfare aircraft and in the EP-3 version for reconnaissance and intelligence gathering. Unfortunately when the Soviet Union disintegrated, the US Congress decided to acquire a ‘peace dividend’ for domestic programmes by using funds planned for the P-3/EP-3 replacement and, as a consequence, the US Navy began retiring P-3s and re-assigning their crews. However, in an increasingly dangerous world the remaining P-3s and EP-3s have been in demand all over the world in the fight against international terrorism. So as consequence of another miss-guided political decision, and the US Navy finds itself having difficulty operating a rapidly aging fleet with a limited number of experienced crews. However, the various P-3s and EP-3s are fast approaching the end of their fatigue life and to replace these valuable aircraft the US Navy is planning to acquire 110 versions of a new aircraft that can provide maritime and land patrol, anti-submarine warfare, reconnaissance and intelligence gathering – known as the Multimission Maritime Aircraft (MMA). The two contenders for this $4 billion programme are Boeing, with a modified version of their 737-800 Boeing Business Jet (BBJ), and Lockheed Martin, with an upgraded new build P-3 called the Orion 21. Originally planned to enter service in 2015, the requirement for the MMA has now apparently moved forward to 2010, a demanding timescale, however, even this reduced timescale will still require the aging P-3 / EP-3 to undergo structural repairs to enable the aircraft to operate safely. Given the many demands on the current defence budget, together with the development work still outstanding, it must remain doubtful if this timescale can be achieved. To meet the many requirements of the MMA, Boeing is offering a developed variant of the latest version of the highly successful 737-800 Boeing Business Jet (BBJ) as their MMA platform. This new version of the Boeing Next-Generation 737-800 will operate at an increased gross weight, enabling it to carry the various specialised military systems, sensors, weapons and stores deployment capability. The aircraft will have a larger payload capability than the P-3, a faster transit speed to the patrol area and a similar fuel economy at low level. Despite the capacity of the fuselage, the 737-MMA will only carry a crew of 8, consisting of 2 pilots and 6 mission crew. However, many observers have questioned whether it would be safe operating a twin-engined jet at low-level out over the ocean many miles from an airfield. Although using a jet powered aircraft for the MMA roles would enable a faster transit speed to the operating area than a turboprop, a jet would also be much less fuel efficient at low-level. It is the low-level performance of a 737, in an area that any MMA aircraft would have to spend a considerable amount of time, that is giving many observers cause for concern. The only other jet MPA aircraft, the Nimrod, has a fairly large, modestly swept wing that provides plenty of lift and turning performance in the critical low-speed / low-level scenario necessary for the ASW role. Typically, when using the Magnetic Anomaly Detector (MAD) to track a submarine, the 737-800 MMA will need fly at around 200ft above sea level and make 2G, 60 degree tightly banked turns. With a fairly modest, highly swept super-critical wing optimised for high-level / high speed cruise, the handling and turning characteristics of a fully loaded 737-800 MMA at low speed / low-level will be ‘interesting’. 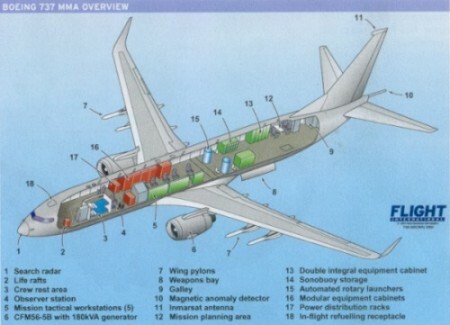 The 737 MMA has an internal weapons bay just aft of the wing, as well as six hardpoints on the wings that can carry stores, however, carrying anything under the wingwill add significantly to the aircraft's aerodynamic drag and increase fuel consumption. The US Navy has also recently asked both companies to include options for a tanker varient of the MMA. Although the MMA will be fitted with a fuel probe and have the ability to dispense fuel as well, this change will almost certainly increase the unit cost of each aircraft above the original $55M price cap. However, this new aircraft should finally address the US Navy's lack of a navy specific AAR asset to support their fleet of offensive aircraft - during Operation Iraqi Freedom this task was frequently undertaken by RAF Tri-Star and VC-10 aircraft. However, the advantages of a 737 MMA, rather than an Orion 21, in the AAR role when refuelling jets are obvious and this new requirement could tip the advantage in Boeings favour. There is no doubt that the widely-used Lockheed P-3 will have to be replaced, in some cases sooner rather than later and there are many compelling arguments in support of a jet, rather than a turboprop powered aircraft. However, it remains to be seen whether Boeing will successfully convince many sceptical observers that attempting to adapt the successful 737-800 is the best solution. Nevertheless, on 14 Jun 04 it was announced that Boeing had been awarded a $3.89 billion contract to build up to 109 of their 737 MMA aircraft for the US Navy. For many years now the USAF has operated a variety of Boeing 707 variants in a number of significant ISR roles, as the AWACS, J-STARS and RC-135. All these aircraft platforms incorporate old airframe, engine and avionics technologies that are already becoming increasingly expensive to maintain. Furthermore, given the post-cold war environment and the rise in international terrorist activity, these aircraft are among the most heavily utilised all over the world. In 2001 the problem how most to most effectively replace these aircraft was one that the then USAF chief of staff, General John Jumper, addressed when he, or most likely someone on his staff, came up with the idea of a Multi-sensor Command and Control Aircraft (MC2A) – a single type of aircraft that ‘could’ undertake all the roles of the current AWACS, J-STARS and RC-135 single-role aircraft. In addition, it was envisaged that the MC2A would also become a flying command post, allowing the US to both plan and execute short-notice air operations without having to rely on ground based operations centres. However, when Jumper first unveiled his idea it was unclear whether he proposed that the USAF spend billions replacing all the 33 AWACS, 17 J-STARS and the 8 RC-135 River Joint aircraft, or whether this was just an example of ‘blue-sky thinking’ intended to galvanise industry to investigate the possibilities of fusing current sensor and C2 technologies. 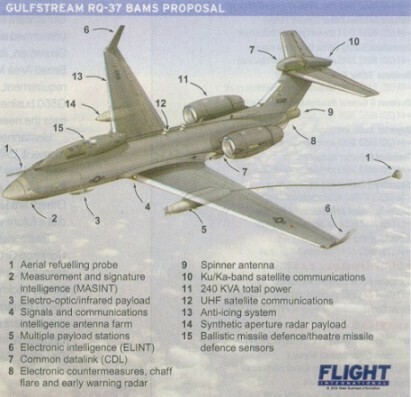 As this proposal was debated, it was further suggested that the planned aircraft might also be equipped to replace the C-130 Compass Call, RC-135 Combat Sent and RC-135 Cobra Ball aircraft, as well as incorporating some equipment to allow it to assume some of the roles of the U-2S. At around the same time, the US Navy’s requirement of a Multi Mission Aircraft (MMA) was also being considered and there were clearly many advantages in considering the option of using the same aircraft. In Sep 01, the House Intelligence Committee suggested the development of a single manned reconnaissance aircraft, owned by a joint agency, but operated by both the USAF and USN. The precedent for this type of operation had already been set by the USN, US Marines and USAF use of the EA-6B Prowler, delivering obvious benefits in operational costs and inter-service co-operation. 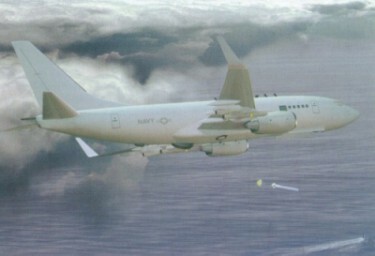 The proposed aircraft would replace the RC-135 and EP-3 fleets with a Boeing 767 sized aircraft, designated the E-10A. A single aircraft for all missions. This option was judged both too risky and costly and would probably take longer to mature than the timescales allowed in the current USAF / USN plans. This option would probably cost around $189 billion for 176 aircraft. A single aircraft without a SIGINT capability. This would still cost around $132 billion for 144 aircraft and would still be unlikely to enter service in the timescales necessary. A joint SIGINT programme to produce a dedicated aircraft. However the 32 planes would still cost $23 billion, a 737 sized aircraft preferred by the USN would be too small to carry all the Rivet Joint systems and would require the USAF to commit to an aircraft a decade earlier than expected. A common airframe. This would provide 191 aircraft for around $111 billion. However this proposal would probably require the USN to buy a 767 sized aircraft, considerably larger than the 737 sized aircraft they would prefer. However, neither the USAF or the USN were prepared to compromise their own plans by agreeing to the use of a common airframe and the likelihood of a combined MC2A / MMA appears at best very remote, despite the obvious operation advantages and financial benefits. 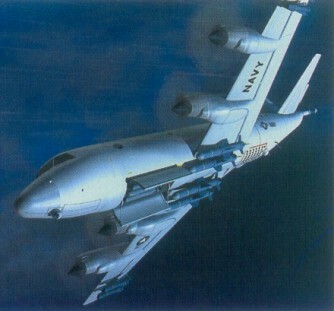 After considerable study, a consortium of Boeing, Northrop, Grumman and Raytheon, in consultation with the USAF, proposed the incremental development of the E-10A in a series of ‘spirals’. 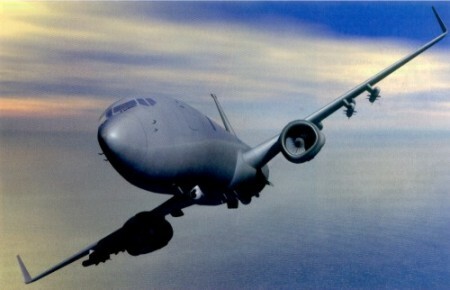 The first development, known as Spiral One, proposed a Ground Moving Target Indicator (GMTI) equipped aircraft with a ground surveillance, targeting, C2 and battle management capability similar to the J-STARS. The primary sensor proposed for this version would be the Northrop Grumman / Raytheon MP-RTIP high-resolution synthetic-aperture ground surveillance radar, a development of the radar currently used by the Global Hawk UAV, mounted under the fuselage in a long fairing similar to the current 707 J-STARS. The USAF initially received $4.5 billion funding for Spiral One development. Spiral Two development proposed adding a Air Moving Target Indicator (AMTI) capability, to either the GMTI equipped aircraft or a separate aircraft, providing a greatly enhanced battle management, surveillance, targeting and C2 capability. The primary sensor for this version would be the Northrop Grumman ESSD Multi-role Electronically Scanned Array (MESA), mounted above the rear fuselage similar to the 737 ‘Wedgetail’ AEW&C. Further studies would determine how to develop Spiral 3, a SIGINT E-10A that would replace the Rivet Joint and possibly other RC-135s. Nevertheless, over the last 3 years as industry began to fully address this proposal, it became apparent that, even allowing for some significant technological developments, it would be impossible to incorporate a combined AMTI and GMTI capability in one airframe within the planned timescale – never mind trying to also include an intelligence gathering capability as well. Such a complex aircraft, with so many systems attempting to transmit energy at the same time, would without extremely clever electronics almost certainly end up simply jamming itself. In addition, it was soon realised that trying to add the Rivet Joint capability, an essentially passively role listening and identifying enemy transmissions, in an aircraft that was itself pumping out huge amounts of radar energy, was to all intents and purposes completely incompatible, given current technology. Eventually in Nov 02 the USAF dropped the goal of a combined GMTI/AMTI E-10A and instead announced the planned acquisition of two separate fleets of firstly GMTI aircraft followed later by another buy of AMTI equipped aircraft. This decision has puzzled a number of observers who wondered whether it made sense, as the current J-STARS fleet use much newer 707 airframes than the older AWACS and Rivet Joint fleets. However, a USAF representative explained this decision by explaining that the current state of the technology and funding already committed to the MP-RTIP led the service to decide that Spiral 1 would be a GMTI aircraft. It was also felt that the majority of current conflicts do not involve a significant air threat, but require a system that can identify targets on or close to the ground. Given the problems involved in attempting to combine a GMTI, AMTI and SIGINT capability in one airframe, other options are already under consideration. 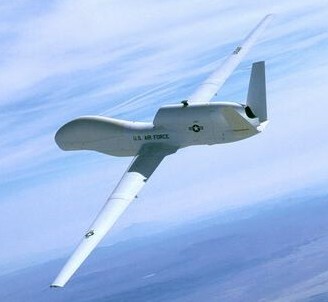 Northrop Grumman is already attempting to develop a smaller version of the MP-RTIP for their Global Hawk and a SIGINT package has already been flown in this successful UAV. This work could eventually result in two Global Hawks, one equipped as a GMTI platform and the other as a SIGINT platform, operating in conjunction with an AMTI E-10A that could fuse and disseminate the data from all three platforms. 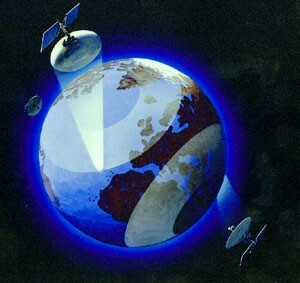 As these systems would be linked by data or satellite links, allowing the data to be transmitted back to a ground base anywhere in the world in virtual real-time, known as ‘reach-back’, the next option is whether to station the battle management staff in a secure ground base, rather than actually in the aircraft. Currently the USAF would prefer to have the majority of the staff actually on the aircraft, although I believe that is it only a matter of time before advances in technology, together with the sheer quantity of the data that needs to be fused and filtered from complementary systems, will prove overwhealming. Eventually it may be necessary, as well as more efficient and cost-effective, to have a much larger number of battle management staff interpreting the data than can easily be accommodated within an airborne platform, even an aircraft the size of a 767 E-10A. Despite the clear need to plan a replacement for the RC-135 and J-STAR fleets, as each year passed and operational commitments in the Middle East grew, greater pressure was placed on the Defence Budget. In late 2003 Boeing also became embroiled in a scandal regarding an aborted deal to lease 100 KC-767 tankers to the USAF in an attempt to secure the 767 production line. After various cut-backs and restructuring, it was eventually announced in the USAF spending plans for FY2008-13 that the E-10A programme would be killed off completely. 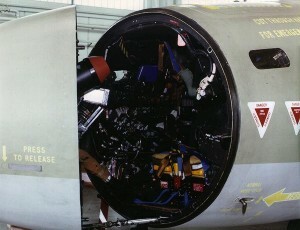 However, in the years leading up to this date contracts were awarded to various companies to continue work on developing the Battle Management Command and Control (BM2C) technology, particularly the software, as this system could eventually be migrated across to the existing E-8 J-STARS platform. In addition, a larger version of the wide-area sensor currently being developed under the Multi-Platform Radar Technology Insertion Programme (MP-RTIP) for the E-10A and the Northrop RQ-4B Global Hawk may well eventually replace the SAR/GMTI radar in the E-8 J-STARS. 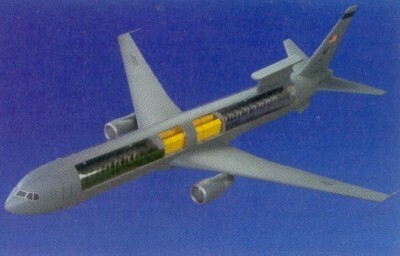 Boeing have yet to decide what to do with the 767-4FSER (N526BA) that would have been the prototype E-10A. The aircraft is still based at Paine Field, Everett, Washington and makes the occasional test flight. The aircraft might possibly be converted into a business jet at some date in the future. The E-10A was always going to be a costly programme and perhaps it was a little over-ambitious to hope that advances in technology would enable a single aircraft to replace a variety of single-role aircraft. However, the need to eventually replace the RC-135 and E-8 J-STARS fleets has not gone away, particularly as these aircraft are still amongst the most heavily tasked aircraft in the USAF fleet. Eventually re-engineering old airframes with new engines and life extension programmes just isn’t cost-effective any more and sooner or later this replacement problem will have to be re-visited. However, by the time this happens I suspect the Boeing 767 line will have long shut down and the replacement platform will be based on the Boeing 787 Dreamliner. Nevertheless, before this can happen, the ‘fighter Mafia’ at the top end of the USAF will first have to accept that the F-22 Raptor and F-35 Lightning II are not the highest priority and that in the new environment of the 21st century ISTAR aircraft probably have an even more important role to play than traditional fighter aircraft. Knowing the location of your enemy has always been one of the basic principals of war led directly to the rapid development of aviation in WW1. However, by the time the Cold War had settled into an uneasy standoff along the borders of the Warsaw Pact (WP), the technology necessary for battlefield surveillance had progressed considerably from a man in a balloon with a pair of binoculars. During the Cold War all along the Central Region in West Germany, NATO forces were heavily outnumbered by the massed armoured formations of the WP. Had the WP armoured divisions ever managed to actually invade West Germany without their preparations being detected well in advance, the result would have been catastrophic. Only the most blinkered commentator would argue that, had such a conflict occured, the in place NATO forces could only have provided a sacrificial force to briefly delay the progress of a tide of main battle tanks and supporting forces, as they poured through the plains and passes of Germany en-route to the Channel and Atlantic seaboard. To provide a means of being able to monitor WP forces and provide advance warning of any manoeuvres that might precede an invasion, the US Army operated the Grumman OV-1 Mohawk, equipped with a large SLAR (Sideways-Looking Airborne Radar), that could look across the border into East Germany and detect large formations of vehicles. However, the capability of the OV-1 Mohawk was limited by its range, endurance and sensor capability. 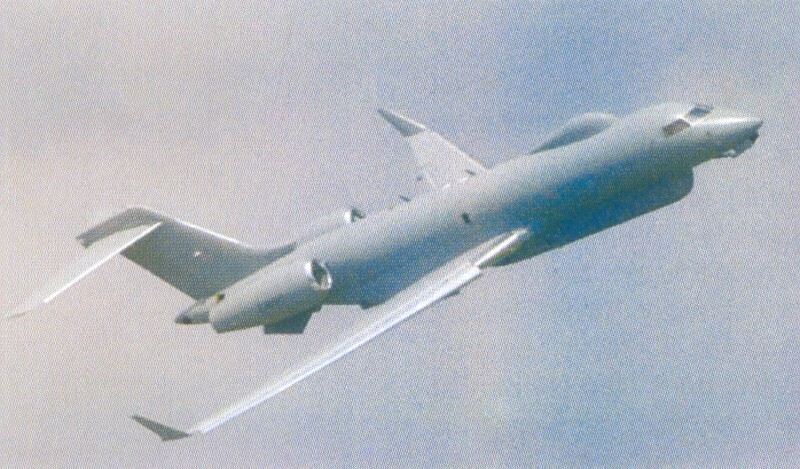 The US Army recognised that what was needed was a much larger aircraft, with a higher operational ceiling, range and endurance and this requirement eventually resulted in the entry into service of the Grumman E-8 Joint STARS – the most advanced battlefield surveillance aircraft to enter operational service. 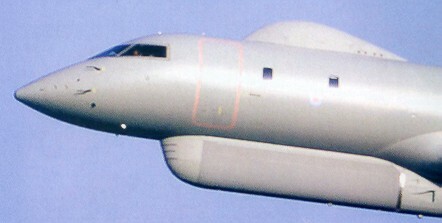 The UK armed forces lacked any kind of battlefield surveillance aircraft whatsoever and since the mid-1970’s had a long standing, but fairly unsophisticated, requirement for an aircraft that could provide UK forces stationed in West Germany with target identification, which was known as CASTOR – Corps Airborne Stand-Off Radar. However, this was before the days of ‘Purple’ forces and all three services often appeared more interested in scoring points off each other, as they each competed for the largest slice of a limited defence budget, than inter-service co-operation. The Royal Air Force (RAF) was not in the least bit interested in seeing a significant part of the limited defence cake utilised to purchase and operate an aircraft purely to meet an Army requirement – particularly, when the Army wanted to operate the aircraft themselves. 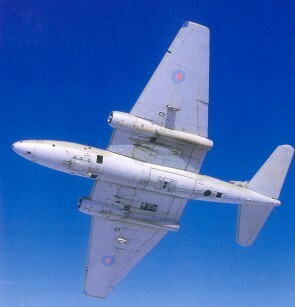 However, the RAF had a separate requirement for a more sophisticated high-altitude surveillance and intelligence gathering aircraft which could survey a wide expanse of the battlefield and identify potential armoured formations and troop concentrations for RAF ground attack aircraft, but was unwilling to compromise its specification to suit the needs of the Army – a fairly typical situation at that time. 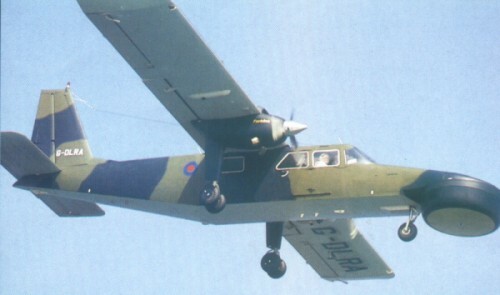 But eventually the RAF’s intransigence and general unwillingness to co-operate was bypassed and in 1983 the MOD authorised the purchase of a BN-2T Islander (G-DLRA) for conversion into a specialised aircraft to research the CASTOR concept. On 17 May 1984 the Islander, after an usual conversion by Pilatus Britten-Norman (PBN), emerged from the hanger and with its long, flattened, circular nose, the aircraft was soon christened the ‘Flying Platypus’. But the unusual nose had a purpose, inside it carried a Ferranti Defence Systems multi-mode all weather radar, linked to two workstations inside the cabin. Throughout the next two years this rather crude and unusual aircraft was extensively test flown and proved that a radar equipped aircraft could detect, track and isolate ground targets using it’s built in Moving Target Indicator (MTI). 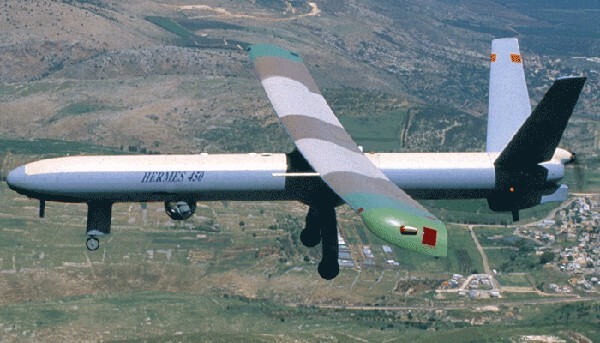 The Army was keen for the MOD to authorise the purchase of a squadron of CASTOR aircraft, but by the late 1980’s the MOD was also involved in funding a highly classified research programme into a Synthetic Aperture Radar (SAR), developed by Racal at the Royal Signals and Radar Establishment (RSRE) at Malvern – SAR soon proved capable of delivering radar pictures of almost photographic quality. Aware of similar developments in the USA, the RSRE decided to combine SAR with MTI and commissioned a Technology Demonstration Programme (TDP) using the new Racal radar and installed it in the bomb bay of Canberra B(I)8 WT327 based at Bedford. The Racal SAR/MTI radar worked well, however, by the early 1990’s, following the collapse of the Warsaw Pact and the subsequent defence cuts, the Army and RAF realising they had to cooperate and compromise on their two differing requirements to have any chance of succeeding in the new, much leaner, financial era and eventually, a new ‘purple’ arrangement was finally born. The MOD slowed moved forward with unusual speed and in 1992 began a Project Definition Phase (PDP) to outline a new requirement for a complete intelligence gathering and target acquisition system - known by the revised acronym of ASTOR for Airborne STand-Off Radar. Various industry teams were briefed on the requirement and invited to tender for the contract, but before long the competition was narrowed down to two teams, Lockheed-Martin's TeamASTOR and Raytheon Systems Limited ASTOR Team. Surprisingly, Northrop Grumman, which had only recently taken over Westinghouse Electronic Systems, the creators of the J-STARS radar, were excluded at this stage and appeared to be completely out of the competition. After 18 months the PDP ended and in Sep 1996 the competition moved forward to the Best And Final Offer (BAFO) stage. It was at this stage that the new Labour Secretary of State for Defence, George Robertson, intervened to allow Northrop Grumman to re-enter the competition, mainly as a result of an industrial agreement Northrop had negotiated with British Aerospace (BAe), with their WIZARD Team. By the end of Feb 1998 the three teams had all submitted their BAFO bids within a budget of £750M. The ASTOR specification called for three separate elements, firstly between four and five aircraft carrying a SAR/MTI radar and associated components, secondly six mobile Tactical Ground Stations (TGS) and lastly, two Operational Level Ground Stations (OLGS). The TGS and OLGS components would support both tactical and command level organisations. The ASTOR aircraft was required to be able to operate at around 50,000ft, giving a wide area of coverage for the radar, with less terrain shadow, as well as enabling the aircraft to operate well behind the front line and well clear of all but the most sophisticated air defences. This requirement ruled out the E-8C J-STAR, as it could only operate at around 42,000ft and anyway the MOD were not keen to acquire such an old and essentially obsolete airframe, particularly at the price Grumman were quoting. 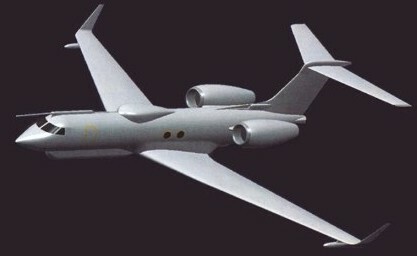 Having ruled out the conversion of a large passenger carrying aircraft on cost grounds, the MOD determined that the best airframe to meet the ASTOR requirement would be a long-range, reasonably large corporate jet, such as the Gulfstream V and the Bombardier Aerospace Global Express. Both Lockheed Martin’s TeamASTOR and Northrop Grumman’s / BAe WIZARD Team selected the Gulfstream V as their airborne component. With a range of over 5,000 miles the Gulfstream V ASTOR would have been capable of missions over 11 hours and had already been adapted into a SIGINT aircraft for the Swedish Air Force. The Bombardier Aerospace Global Express, selected by Raytheon Systems Ltd, had impressive performance being capable of 14 hour missions at up to 51,000ft in the ASTOR role. The ASTOR was planned to operate with a flight crew of two pilots and a rear crew of three radar operators – a mission controller and two mission analysts, each manning individual workstations. The aircraft would be permanently linked to the TGS and OLGS by secure data links, enabling interpretation of the data to occur independent of the aircraft. To keep costs down, both the aircraft and ground station workstations would have to be based on open architecture Commercial-Off-The-Shelf (COTS) hardware and software. The dual mode SAR/MTI radar would be able to continually scan a large area in Wide Area SAR or Spot SAR modes, with the MTI image overlaid on the SAR images. Lockheed Martin’s Team ASTOR consisted of Racal Radar Defence Systems, Logica, GEC-Marconi Defence Systems, Marshall Aerospace and Gulfstream, together with various other British companies, and they planned to use the dual mode airborne surveillance radar developed by Racal. However, Raytheon’s ASTOR Team planned to use an improved version of their Advanced Synthetic Aperture Radar System (ASARS-2) installed in the U-2R. The Northrop Grumman WIZARD Team planned to use an improved version of the J-STARS radar. Finally, at the Paris Air Show on 16 Jun 1999, the MOD announced that Raytheon’s ASTOR Team had won the competition and would build the ASTOR. One of the reasons for the success of the Raytheon bid was the greater cabin volume and electrical power capability offered by the larger Bombardier Global Express aircraft. By the time the award of the contract was announced, the cost of the ASTOR had risen to some £800M, but given the problems the MOD has continually encountered with the rising costs of defence projects, this was almost to be expected. The planned In Service Date (ISD) was announced as 2005 and the RAF also announced that it intended to base the aircraft at RAF Waddington, alongside the RAF’s E-3D AWACS and Nimrod R1s creating an ISTAR hub. The aircraft would all be built at the Bombardier factory in Canada and the first aircraft would be converted to the ASTOR role at Raytheon’s facility at Major’s Field, Greenville, Texas. 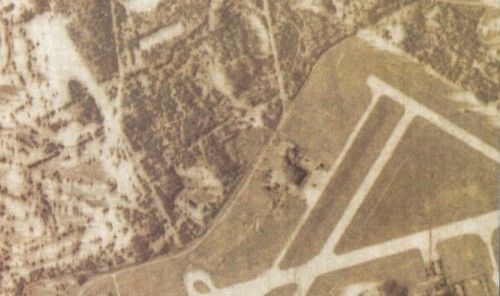 The subsequent four aircraft would be converted at Raytheon’s facility at Broughton near Chester. 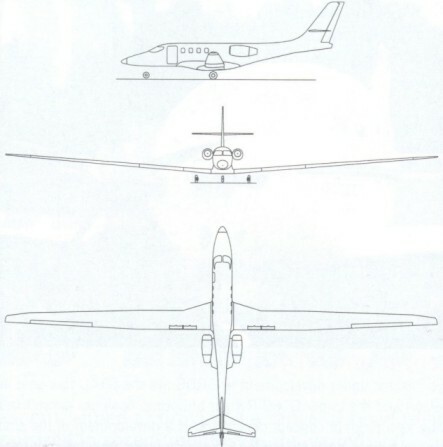 As well as Bombardier, who would provide the basic Global Express airframe, the ASTOR team also consisted of Motorola, who would provide the TGS and OLGS, Lucas Aerospace, who would provide the electrical systems, Messier Dowty, who would provide the landing gear, Augusta/Westland, who would provide the doors and Rolls Royce / BMW, who would provide the two BR710 two-shaft turbofan engines, identical to those powering the new Nimrod MRA4 that will probably also be based at Waddington at some time in the future. Once the contract had been signed, Bombardier moved fairly quickly and converted its original prototype Global Express C-FBGX into the prototype ASTOR and on 3 Aug 02 the converted aircraft flew for the first time in its new configuration. The aerodynamic changes included the addition of a large 4.6 meter canoe-shaped fairing under the fuselage to house the dual mode radar antenna, delta fins under the rear fuselage to counteract the effect of the fairing, a small bullet fairing extension on the fin and a large Satcom antenna radome on the upper fuselage. A number of flight trials validated the new aerodynamic configuration and these continued throughout the remainder of 2002. On 31 Jan 2002 the first RAF Global Express, ZJ690, was flown to Raytheon’s facility at Greenville, Texas. On 26 May 04, after over two years of work, the initial stages of the conversion were complete and this aircraft flew for the first time in the Sentinel R1 configuration on a 4hr 24min test flight, displaying handling qualities little different from a standard Global Express. The second RAF aircraft, ZJ691, was delivered to Raytheon’s facility at Broughton, nr Chester on 29 Jan 03. The third and fourth (ZJ 692 and ZJ693) followed together on 16 Jan 04 and the fifth and final aircraft (ZJ694) arrived on 23 Jan 04 and work on all four aircraft is ongoing. Every bit as important as the aircraft are the ground stations, where the radar data will be received from the ASTOR and then interpreted by various intelligence experts, or forwarded onto other organisations. 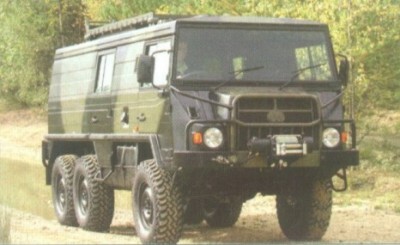 The six ASTOR TGS, each equipped with two workstations, will be housed in variants of the Steyr Pinzgauer 6x6 truck, allowing the TGS to easily deploy with field headquarters. The two OLGS will be based on ISO container sized shelters, housing the workstations and communication links and each ISO will contain three workstations. The ISO containers will be formed into an H configuration, giving a total of 9 workstations, although space also exists for an additional workstation in each ISO cabin. When not deployed on operations, the TGS and OLGS units will be based at a purpose built facility at Waddington. Raytheon already have a contract to provide Contractor Logistic Support at Waddington for the first 10 years of the anticipated 30 year life of the aircraft. 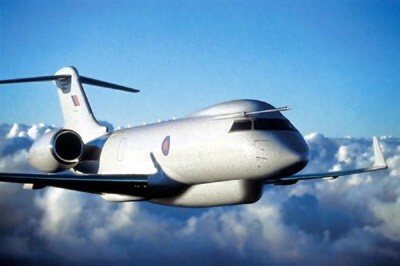 The first Sentinel R1 ASTOR was due for delivery to the UK in early 2005 for flight trials at Boscombe Down. The key to the ASTOR is the Raytheon advanced dual mode SAR/MTI radar, based on the Hughes ASARS-2 radar system, initially developed for the U-2R. The ASTOR radar will be electrically steered in azimuth and mechanically in elevation, resulting in small blind spots to the front and rear of the aircraft. 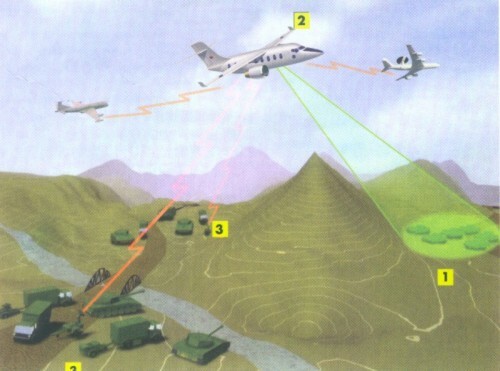 The radar can operate in either low-resolution wide-area swath mode, where it will provide a large number of strips of pictures that then join together to form a detailed image of the battlefield, or spot mode where it can apparently obtain a resolution of less than 3 meters from its normal operating altitude. The radar has also been reported as being capable of providing images of the battlefield at ranges of over 180nms when the aircraft is operating above 47,000ft, but I suspect its performance will eventually exceed this by some margin. Data from the radar will either be transmitted continually, in near real-time, via Ku and X-band data links to the TGS and OLGS, using the Wideband DataLink Subsystem (WDLS) developed by Ultra Electronics and Cubic Defence Systems, or can be stored onboard during ‘off tether’ operations and then downloaded on landing. Some observers have been critical of the communication specification, citing the lack of SATCOM UHF voice facility, a limited radio fit and a poorly designed intercom/radio system, whether these factors will cause problems on actual operations remains to be seen. A Defensive Aids Group (DAG) integrated electronic warfare suite, based on the system developed by BAe Systems for the Nimrod MRA4, will also be installed. The DAG will include a missile warning system, a radar warning receiver, a towed radar decoy and chaff and flare dispensers. Once the aircraft are delivered the operational trials will be split into two phases, the first phase will be co-ordinated by Raytheon and will mainly assess the systems compliance with the technical specification outlined in the customer requirements documents. The second phase, co-ordinated by the Defence Procurement Agency (DPA), will be more concerned with establishing how the system will actually be employed. Out of the trials should emerge the development of operational doctrine and procedures and, with the system having strategic, operational and tactical applications, these procedures will need to be unambiguous and robust to ensure the aircraft are allocated where they can be of most benefit. Clear priorities will need to be established for control of the system, determining who gets allocation of the asset and the product of its sensors. To enable this to be achieved without a continual squabble between competing organisations, commanders will have to have a detailed understanding of the technical capabilities of the aircraft and its sensors. The Sentinel R1 will eventually be capable of exchanging data with the E-8 J-STARS and with the planned NATO Alliance Ground Surveillance (AGS) system, which will be carried on a highly modified Airbus A321 and Global Hawk. On 1 Apr 04, the reformed 5(AC) Sqn, manned by RAF and Army personnel, officially stood up at RAF Waddington and planned to commence its first training course in Autumn 04, in preparation to receiving the first aircraft scheduled for Sep 2005. However, the Army personnel responsible for manning the TGS and OLGS, who will also be collocated with 5(AC) personnel, will actually come under the command of HQ Land, rather than OC 5(AC) Sqn, and this could be a source of difficulties in the future. 5(AC) squadron will eventually comprise around 300 airmen and soldiers, all based at Waddington and eventually some RN personnel will probably be posted in to join them. Although the actual crew composition has yet to be formally announced, it seems fairly apparent that the two pilots will both be RAF officers and that they will only have limited access to mission information, via a small JTIDS display in the cockpit. In the rear cabin, the Mission Controller (MC) will initially be a commissioned WSO and he/she will optimise the sensor and command the mission crew. Eventually some Ops Spt (Int) or even Army Int Corps Image Analysts (IA) might be allowed to upgrade to MC. The two other IAs will be a mix of SNCO WSOp, TG14 and Army Int Crops personnel and they will be responsible for SAR imagery interpretation and MTI exploitation, particularly during ‘off tether’ operations. It seems highly unlikely that a proposal for an Ops Spt (Int) officer, acting as an Airborne Collection Manager (ACM), will ever see the light of day. However, on 3 Oct 04, The Sunday Times reported that industry sources had indicated that the entire ASTOR programme would be put back over 6 months because of ‘engineering difficulties’ with the high-tech dual mode radar. Consequently, the planned ISD of Sep 05 would slip and the ISD would not now take place until sometime in 06 or even 07. However, plans are already underway to see if it might be possible to try and achieve an initial operating capability in 2007, by dovetailing the UK integration trials, operational testing and operational evaluation activities, with the complete system still eventually attaining full operational capability by 2008. 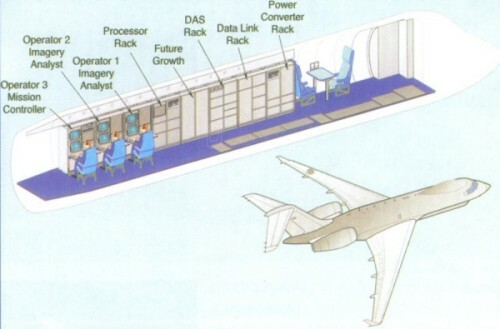 However, there have also been persistent reports that, with a crew of 5 and a considerable amount of electronic equipment, the aircraft is already right up against its maximum permitted weight, making any additional enhancements, such as the three additional open architecture workstations originally planned, highly unlikely. 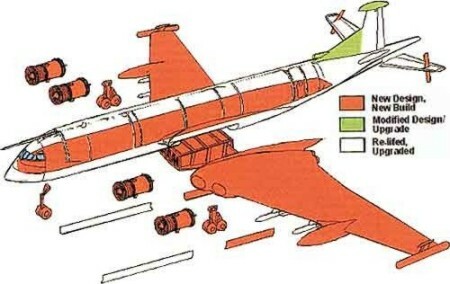 The weight difficulties were probably a major factor in the decision to remove the requirement for an AAR capability, although other reports suggested that the AAR probe had to be removed as it destabilised the aircraft, and the money saved allowed additional equipment to be purchased for the TGSs. Any delay, for whatever reason, will be cited by some observers as yet another example of poor project management by the DPA, despite the governments much publicised introduction of 'so-called' SMART procurement. The Sentinel R1s will eventually become a fundamental and absolutely vital element of the MOD’s planned Network Enabled Capability. Given the current emphasis on ‘purple’ operations, it seems rather odd that at present there are no plans for an TGS to be installed on any RN vessel, but I imagine this will eventually happen when the aircraft is already in service. Cruising at 51,000ft, with a range of 6,500 miles and an endurance of up to 14 hours, the vast amount of data collected by the Sentinel R1 will eventually be fused with data from the Nimrod R1, E-3D AWACS, Watchkeeper UAVs and even satellite imagery to provide a comprehensive overview of the battlespace. At long last British operational commanders, both in the field and in HQ’s at home and abroad, will be provided with the full spectrum awareness essential for conducting successful combined operations in the 21st century. The US Navy is planning to acquire a Broad Area Maritime Surveillance (BAMS) UAV system that will provide a persistent maritime surveillance, communication and reconnaissance capabilities, with worldwide access. The complete BAMS system will consist of the UAV platform and onboard sensors, as well as incorporating the command and control network and other supporting elements. The UAV will be capable of operating independently or work in conjunction with other maritime assets, particularly the planned Maritime Multi-mission Aircraft. 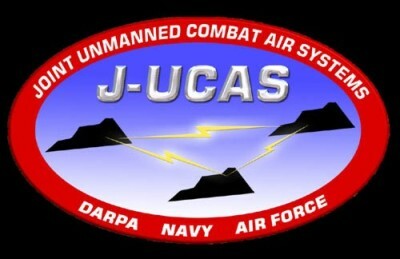 Around 40 UAVs will be based at five US Navy sites located at Hawaii, Diego Garcia, Florida, Japan and Italy and current plans call for the BAMS UAV to be fully operational by 2013. 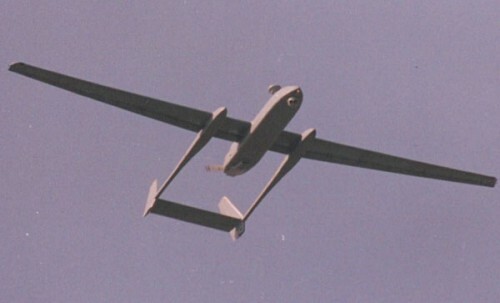 The BAMS UAV will need to be able to provide a continuous on-station presence at ranges of 1,000 to 3,000 miles from the launch point and will typically operate at over 40,000 ft whilst tracking targets ranging from ships to a submarines periscope and relaying the data received back to a ground station in near real-time. The broad aim is for the BAMS UAV to provide the command authorities with a persistent and reliable picture of surface threats, without exposing manned assets to any potential threat. To achieve maximum flexibility, the UAV must be capable of sea control and strike support missions as necessary. Typical of the new systems that may find their way onto the BAMS UAV is a collaborative project between Northrop and Sonoma Design Group for a new high performance electro-optical and infra-red system called Night Hunter II. Optimised for passive imaging at stand-off ranges in the visible and IR bands, Night Hunter II is housed in a 21 inch lightweight turret that can accommodate up to six sensors and has a large aperture of 11 inches. Typically the various enhanced day and night sensors onboard would search, auto-detect and track targets over 360 degrees as well as enabling laser ranging and designation for the latest laser guided or GPS guided weapons. 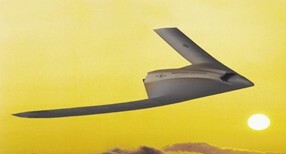 There appear to be three main contenders in the BAMS UAV competition – a maritime version of the Northrop Grumman RQ-4A Global Hawk, a maritime version of the General Atomics Predator B known as Mariner and an unmanned version of the Gulfstream G550 business jet known as the Gulfstream RQ-37. The Northrop Grumman RQ-4A Global Hawk high altitude, long endurance UAV is the front runner in the competition, as it has a proven track record and the platforms capabilities already closely match the BAMS UAV requirement, particularly the ability to operate at 60,000ft carrying a wide variety of sensors, a range of 10,000 miles and the ability to remain aloft for up to 35 hours. Current USN plans call for a Congress-mandated Global Hawk Maritime Demonstration (GHMD) to begin in Nov 2005 until 2009 and to this end the USN have purchased two Global Hawks designated as RQ-8A’s. The RQ-8A aircraft will be equipped with the normal Intergrated Sensor Suite, but also with a special maritime-mode radar and an LR-100 electronic support measures suite with 360 degree coverage. The planned 360 degree scan inverse synthetic aperture radar capability was not funded, instead the two aircraft will be equipped with new software that allows the existing SAR sensor to pick up maritime targets identified initially by the LR-100 system. The initial plan for the GHMD calls for the aircraft to support an exercise called Trident Warrior ’05, followed by a Joint Expeditionary Forces Exercise starting in Feb 06. However, with the situation in Iraq deteriorating as each month passes, the Department of Defence is investigating the possibility of one of the USN Global Hawks deploying to the United Arab Emirates, joining the single USAF Global Hawk based there, to support US Marine Corps operations in Iraq. If the plan goes ahead this will clearly have a major impact on the GHMD programme, but may also serve to remind the USN of the superb capability of this state-of-the-art UAV. General Atomics are also keen to demonstrate that a version of their Predator B, known as the Mariner, will be capable of meeting the BAMS UAV requirement and have teamed up with Lockheed Martin in an effort to secure the contract. The Mariner combines the Predator B fuselage with the lengthened wings of the high-altitude Altair version of the Predator. The Mariner can operate for up to 50hrs and climb to above 50,000ft carrying a 800lb internal payload and 3000lbs externally. Production version of Mariner will also be fitted with a conformal fuel tank to increase endurance even further. Equipped with a Raytheon developed electro-optical / infra-red sensor and a new SeaVue multimode maritime radar, the Mariner is certainly capable of providing the real-time, persistent intelligence, surveillance and reconnaissance capability required for the BAMS UAV, however, whether this highly capable UAV will win in a straight fight against the Global Hawk RQ-8A remains to be seen. Gulfstream have been slow to enter the UAV market and rather than risk the costs associated with developing a completely new UAV to compete for the BAMS UAV contract, instead they have proposed an unmanned version of their successful G550 long-range business jet. Known as the RQ-37 this aircraft would use a fully automated flight control system developed by Sierra Nevada Corporation to convert the aircraft for unmanned flight. The main advantage of the RQ-37 would be its ability to carry a payload of nearly 10,000lbs for 15 hours up to altitudes of 60,000ft, a far greater payload than either of its competitors can manage. A typical configuration for the RQ-37 would include a synthetic aperture radar, an electro-optical / infra-red sensor, an ELINT / ESM suite and a ballistic/theatre missile defence sensor all routing data through a reconnaissance management system to data link and SAT Comms systems. If the payload was reduced around 5000lbs, the RQ-37 could then be fitted with additional fuel tanks and under-wing hard points and could operate for up to 18 hours, but still some way short of the endurance offered by the RQ-8A and Mariner. Despite its many virtues, cost is the real achilles heel of the RQ-37, with a unequipped G550 costing over $10 million more than a RQ-8A and an even greater cost disparity existing against the Mariner. However, with the ACS platform still in doubt, if the USN opted for the G550 as both platform for both the ACS and BAMS UAV, the overall price could be driven down, but this option appears a unlikely possibility. The battle for the BAMS UAV contract promises to be a long, drawn out contest, in which the usual internal and external politics of US defence procurement will be as much a factor in the final decision as the actual capabilities of the competing platforms. Nevertheless, the various trials that will take place should serve to clearly identify the best platform, with the appropriate mix of specially modified sensors and the ability to disseminate the captured data rapidly to the commanders in the field. Whatever platform is selected will undoubtedly set the standard for a maritime UAV that other many other countries will admire and envy but, given the rules detailing the transfer of sensitive technology, I doubt the BAMS UAV will ever be offered for sale to anyone other than America’s closest allies, even if they can actually afford to buy it! Throughout most of the 1980's and 1990's China's armed forced lagged far behind those of the USA and NATO, certainly not in numbers, most but most notably in terms of equipment and capability. For years China purchased the vast majority of their military equipment from their communist comrades in Russia and when the end of this cordial relationship was replaced by mutual animosity and an end to arms exports, it left China's armed forces with a considerable amount of old, outdated equipment, suffering from poor serviceability and a lack of spare parts. Because of the difficulty of obtaining spare parts directly from Russia, the Chinese defence industry became highly skilled in 'reverse engineering' and was eventually able to produce most of the parts required and even complete new examples of old designs. However, the Chinese leadership realised that updating old Russian designs simply prolonged many of the fundamental deficiencies of the original designs themselves and have now changed their strategy. Whilst China was still a backward country with limited industrial resources and a fairly stagnant economy, there was little they could do, but times have changed. The Chinese leadership realised that to develop and expand their economy, they needed to allow a form of capitalism that built on the natural business instincts inherent in many of their population, whilst still subjecting them fairly tight state control. Once China embraced their unique form of state controlled capitalism and allowed businessmen some freedom of operation, their vast low-wage workforce were soon producing goods far cheaper than any other country and the economy started to soar, giving the Chinese dictatorship the money they needed to re-equip their armed forces. However, the Chinese leadership soon realised that, despite a booming economy, they were unlikely to ever persuade the USA or any developed western nation to sell them advanced military equipment, so instead they turned to their old adversary, or what remained of it - Russia. In addition, they have also begun trying to develop modern aircraft and although they have had some success in stealing and reverse-emgineering some western technology, they know that the real solution is to develop the appropriate technologies themselves. The Chinese military appreciate only too well that in modern aerial warfare possessing thousands of fighters and fighter-bombers counts for little if they cannot be effectively deployed against an adversary and that they lack the latest AEW&C, ELINT and J-STARS capability required to accomplish this task. When China still had good relations with Russia, a number of obsolete Tu-4 Bull aircraft, a reverse-engineered copy of the Boeing B-29 Superfortress, were handed over to the PLA Air Force. China's first attempt at developing an AEW aircraft consisted of modifying one of these Tu-4 Bull aircraft 2806501 '4114' to carry a rotating mast AEW dish mounted on top of the fuselage. Their efforts were probably not very successful as only one aircraft was converted and it never entered operational service. After this failure they decided to tackle their lack of an effective AEW&C aircraft back in the late 1990's by attempting to acquire an Ilyushin IL-76 from Russia and then have it fitted out in Israel with the Elta EL/M-2075 Phalcon phased array AEW&C radar system. However, as soon as the USA got wind of this deal they applied pressure on Israel and the programme was cancelled in 2000. Next the Chinese turned to Russia and considered purchasing up to six examples of the Ilyushin IL-76/Beriev A-50, but this deal stalled when the Chinese realised that the Russians would only sell them an export version Beriev A-50Ah, with considerably reduced capability. With their attempts to acquire a modern AEW&C aircraft having been carefully obstructed by both the USA and Russia, China realised that the only solution left was to build an AEW&C aircraft of their own, utilizing whatever technology they could copy or steal from other countries. 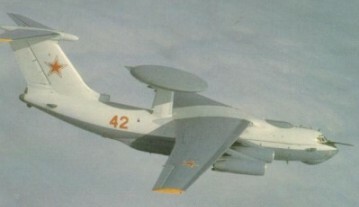 Using the IL-76 airframe that Israel returned to China in 2002 after the Phalcon deal was scuppered, Xian Aircraft developed their own dorsal-mounted non-rotating radome, mounted on an unusual tri-cornered support structure, considerably different to the normal mounting used for the Russian A-50s. The radome is believed to house three separate phased-array radar modules mounted in a triangular configuration and was almost certainly developed in China. Some commentators have suggested that this phase-array radar may have been sold to China by Russia, but I suspect it is more likely the radar is based on technology stolen from another company in Europe or the USA and then copied by the Nanjing Research Institute of Electronic Technology. This airframe also featured two outward-canted ventral fins, as fitted to the IL-76 that Israel returned to China, almost certainly confirming the airframes identity. First flown in November 2003, the Chinese now appear to have at least two of these aircraft undergoing testing with the Chinese Flight Test Establishment CFTE) and have named these aircraft the King-Jing 2000 (KJ-2000). The actual capabilities of the aircraft remain unknown, but I would imagine it is some way behind the E-3D AWACS. The next Chinese AEW&C aircraft to appear was the Shaanxi KJ-200. This featured a single 'balance-beam' linear-shaped electronically steered phased array radar antenna, mounted on top of the fuselage of a Shaanxi Y-8 turboprop transport aircraft, itself based on the An-12 Cub. How many versions of this aircraft were undergoing test-flights is not known, however, on 3 June 2006 one of these aircraft crashed in the eastern province of Anhui, killing all 40 people on board, many of whom were believed to be electronics experts and aircraft engineers from the Shaanxi Aircraft Industry Corporation based at Hanzhong. 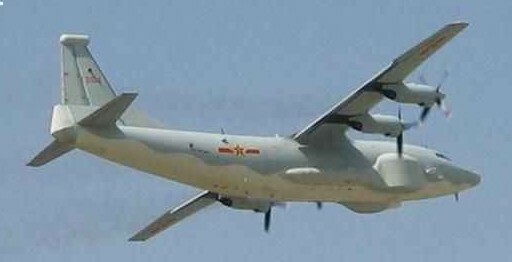 The Chinese have also developed the Shaanxi Y-8 into an ELINT platform. This aircraft was first sighted in the summer of 2004 near Shanghai and features a long canoe-shaped fairing under the port side of the forward fuselage, together with various blade aerials and antennas mounted on the sealed rear loading ramp. A slightly different maritime ELINT version of the Shaanxi Y-8, possibly designed the Shaanxi Y-8(DZ) is undergoing flight trials for PLA Naval Air Force. This aircraft features a large dorsal fairing on top of the fuselage, just forward on the fin, a chin-mounted radome and various other blade aerials and antennas. How many of these aircraft are flying and their capability is not known. 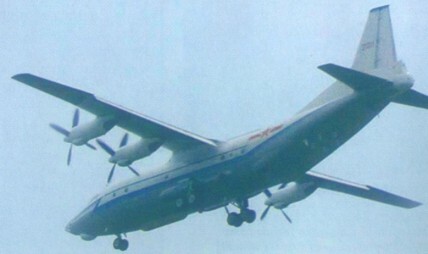 The Shaanxi Y-8 platform has also been used as the basis for what's believed to be an experimental J-STARS type configuration. This aircraft features large bulged cheek fairings either side of the forward fuselage which are believed to house a sideways-looking radar. The fuselage also has various other fairings and one on the tip of the fin, which possibly houses ELINT receivers. Once again, how many of these aircraft are flying and their capability is not known. The final experimental Shaanxi Y-8 is an AEW&C platform with a rotating radome mounted above the fuselage. Exactly what the radome houses is not known, but it is probably a single-sided phased array radar system. This aircraft may have been developed to enable comparisons to be made between its performance and the performance of the three-sided KJ-2000. The rapid advances made recently by China in the AEW area will sooner or later lead to the production and operational deployment of at least one and possibly two AEW aircraft. However operationally effective these aircraft will prove to be remains to be seen, nevertheless there is little doubt that, with billions now flowing into the Chinese economy every year, the Chinese will continue to seek to acquire advanced western technology and the current evidence suggests that sooner or later, one way or another, they'll get their hands on it and start building and developing it themselves. I am not alone in hoping that more western politicians wake up to the danger posed by an expansionist China and then ensure aerospace industries take more effective steps to safeguard what we have and what they are so keen to acquire. Since the end of WW2 the US military has sometimes had their ability to take military action restricted by an inability to obtain the necessary over-flight rights of foreign countries. This was brought into particularly sharp focus when the US decided to retaliate against the deranged Libyan dictator, Col Muammar Gaddafi, whose support for a terrorist attack against nightclub in Berlin cost the lives of two US servicemen and a Turkish woman. The US military were directed by the US President, Ronald Regan, to plan a bombing raid against various targets in Libya mounted from the US Sixth Fleet and various bases in England. Operation El Dorado Canyon called for F-111F bombers from RAF Lakenheath, accompanied by EF-111 jammers and tanker support from RAF Upper Heyford, RAF Fairford and RAF Mildenhall, to overfly France en-route to Libya. However, the French President François Mitterrand as usual waived the French yellow anti-American flag and, despite considerable diplomatic pressure, refused to allow the American aircraft to over-fly France – Spain also refused the USA over-flight facilities. On 14 Apr 1986, as a result of the French and Spanish decision, the strike formation and supporting aircraft launched from England and had to fly over 1,300 additional miles, routing out into the Atlantic and around Spain before entering the Mediterranean via the Straits of Gibraltar to carry out the mission, before returning the same way. To overcome the problem of access to foreign sovereign airspace when conducting military missions, in 1996/7 the US Air Force decided to simply circumvent the airspace itself by developing FALCON, an unmanned hypersonic strike aircraft with sufficient performance to go operate from the USA and if necessary simply go ‘over the top’ of denied airspace in a Military Spaceplane (MSP). 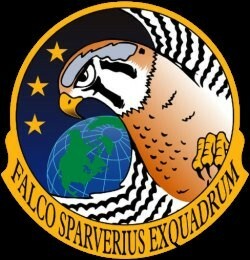 FALCON initially stood for Force Application and Launch from the CONtinental United States and was a joint venture between the Defence Advanced Research Agency (DARPA) and the US Air Force to develop an aircraft capable of delivering a prompt strike capability to any location in the world within two hours. However, in 2004 the offensive strike part of FALCON was cancelled, and although the name was retained, the focus shifted to providing a platform optimised for reconnaissance with the following characteristics: payload, 12,000lbs (5,400kg), gross weight 500,000lbs (227 tonnes), range 10,000 nautical miles in less than 2 hours, a 12 hour turn-around between missions and runway type operations. Currently, FALCON would be about the size and weight of a B-52 and would use hydrocarbon fuels, instead of hydrogen enabling it to operate at up to Mach 10 at somewhere between 100,000 – 150,000ft or even higher. The two key technologies that will determine the success or failure of the FALCON programme are the Thermal Protection System (TPS) and the engine. Lockheed’s solution to providing an effective TPS involves taking existing high-temperature materials, mainly silicon carbide and carbon-carbon composites, and improving them with coatings, such as a pre-ceramic polymer. Using these types of coating and combinations of substrates, the FALCON TPS is expected to operate from 10 minutes to 1hr in temperatures exceeding 1,650°C (3,000°F) and be capable of being reused up to 10 times before being replaced. Lockheed are also attempting to develop a combined turbine-scramjet to power the FALCON. This unique engine will rely on a variable cycle operating system with a turbojet, probably derived from a combination of the Rolls Royce/Liberty Works YJ102R engine in Revolutionary Approach To Time-critical Long Range Strike (RATTLRS ) a quasi-hypersonic missile and the Air Force Research Laboratory’s Advanced Versitle Engine Technology (ADVENT) programme mated to a scramjet . In Lockheed’s current design an inward-turning inlet provides air to the turbojet that accelerates the vehicle to beyond Mach 4, before a Pratt & Whitney Rocketdyne dual-mode ramjet/scramjet takes over to power the vehicle to its Mach 10 cruise. Despite officially cancelling the strike part of the FALCON programme, I doubt there would be little difficulty in developing a dual reconnaissance/strike version, particularly if the payload area is configured appropriately in the initial design and I believe this will eventually happen when FALCON enters service. 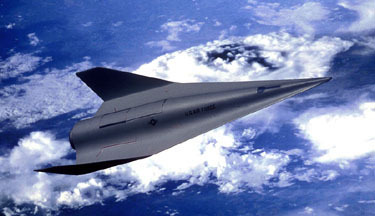 When this happens a strike version will almost certainly be used as a carrier vehicle for the Common Aero Vehicle (CAV), a manoeuvring hypersonic re-entry vehicle capable of dispensing a variety of payloads inside the atmosphere, derived from the X-41A programme. Although many aspects of the FALCON programme appear at the cutting edge of current technology, I suspect that Lockheed know considerably more about hypersonic technology than they are prepared to publicly admit and that is why I believe this programme will succeed where some others have failed. The UK Joint UAV Experimentation Programme (JUEP) was established in 2003 and is based at RAF Waddington to explore the further potential of UAVs and determine their utility in both the single service and joint service arena. As part of this wide remit, the JUEP intend to acquire a range of different vehicles, ranging from small Micro UAVs to High Altitide Long Range (HALE) UAVs. Various ideas and suggestions have already been examined and tested, utilizing a number of different UAVs, ranging from the ScanEagle to the EADS Eagle. The UK already has a group of 44 RAF personnel, 1115 Flt, embedded within the USAF Predator organisation as the Combined Joint Predator Task Force (CJPTF) gaining valuable experience on the operation of this proven UAV. The UK armed forces and the RAF in particular, would love the UK government to commit to a formal purchase of a number of Predator B UAVs and their supporting equipment and it has been reported that the UK is currently in negotiations with Washington to purchase two Predator B air vehicles and a ground station for delivery in early 2006 to support a major deployment of the British Army to Afghanistan later that year. 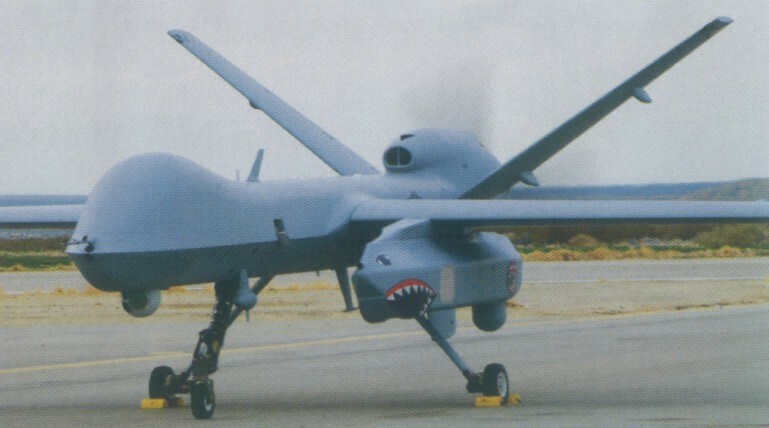 In 2005 the JUEP decided to investigate whether it would be possible to enhance the already sophisticated reconnaissance capability of the Predator B by the addition of a LOROP sensor. In a trial held at China Lake in the USA and known as ‘Falcon Prowl’, the electro-optical / infrared LOROP sensor from a RAPTOR, the DB 110, was installed in a purposed built pod and fitted under the port wing of a Predator B. This allowed the Predator B to still use its existing sensor ball, whilst adding the considerable additional capability of being able to deliver high definition imagery, in the visible and infrared bands, over extremely long ranges. During the trial the DB 110 system imaged targets at over 70nms range from an altitude of 40,000ft. The data captured was then fed over a US satellite link to the Storm Shadow Mission Planning Cell at the UK’s Permanent Joint HQ at Northwood, demonstrating one particular use for this capability. This trial will have been of considerable interest to the USA, particularly as the DB 110 sensor is actually built by Goodrich in the USA. The Canberra PR9 retired in the summer of 2006 and, among other things, Project Dabinett has been examining how best to replace the capability provided by this unique aircraft, in particular, it’s LOROP capability. If successful, ‘Falcon Prowl’ may well have demonstrated one particular option available. With advances in UAV technology proceeding at a rapid pace, the JUEP will not be short of work as they continue their various trials, whilst cementing the various relationships they have established with other UAV operating nations, particularly the USA. Nevertheless, under current plans, the JUEP is to be formally disbanded in Mar 06, however, given the work that could still be undertaken, it will be an odd decision if the life of this organisation is not extended further. Under Project Dabinett, the UK MOD is beginning to investigate its long term requirement for a Long-Range Long –Endurance (LRLE) air vehicle capable of providing their Intelligence Surveillance Target Acquisition and Reconnaissance (ISTAR) capability over the next 3 decades. This requirement is being brought into sharp focus as the RAF’s remaining 5 Canberra PR9 aircraft rapidly approach their planned retirement date of 2006, with no obvious candidate in place to provide the Image Intelligence (IMINT) collected by the ageing, but still highly capable aircraft. In 2003 a 9-month study was undertaken by BMT Defence Services to develop a user requirements document. The final document defines the capability gap left after current ISTAR platforms are retired, as well as outlining the UK's future ISTAR requirement and is the result of extensive research and interviews with all those currently served with the current ISTAR output. It has long been accepted that the Canberra PR9 will be a particularly difficult asset to replace, as for many years this aircraft has offered an almost unique combination of performance, payload and operating costs. Despite the age of the airframes, the reconnaissance capability of the PR9 has been continually updated over its service life and currently it can employ digital cameras and upload the data over a satellite link, in a similar fashion to the U-2S. Although the introduction into service of the Sentinel R1 ASTOR between 2005/6 will add significantly to the UK’s overall capability, the aircraft currently lacks any means of collecting IMINT. Furthermore, given the weight difficulties that this aircraft has already encountered with its current design fit of equipment, it would seem unlikely that any additional equipment could be squeezed onto the aircraft. 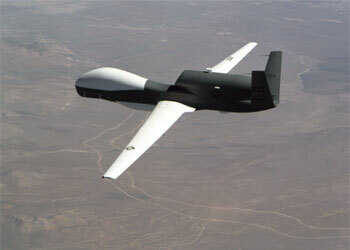 One solution that many observers would like to see is the purchase by the UK MOD of a number of Global Hawk HALE UAVs. This highly capable UAV can not only provide superb IMINT with its onboard cameras but can also operate just as effectively at night or in bad weather using its SLAR. Furthermore, it is capable of loitering over a target area for up to 60hrs, far longer than a manned aircraft would remain. However, despite being used extensively over Iraq during Gulf War II, the Global Hawk is actually only just entering operational service with the USAF and given the low rate of production and the demand for this vehicle, it would be a long time before any could be available. Cost would also be a big factor and, given the current state of the MOD finances, it would seem highly unlikely sufficient funds could be found. The most obvious solution is to purchase up to 6 additional ultra-long range Bombardier Global Express aircraft and install long-range optical cameras, together with a comprehensive communications fit including SATCOM, in the aircraft – a relatively simple task compared to the Sentinel R1 installation. The performance capabilities of the Bombardier Global Express is not completely dis-similar to the PR9, in terms of an operating altitude of 50,000ft, but it could also remain longer on station for up to 11 hours, and carry much more equipment. However, it only cost £15.5M to operate the five PR9s during Financial Year 2001/2002 - a very low amount considering the capabilities it offers and one that the Global Express would struggle to meet. But perhaps most importantly the Global Express would allow the crew to operate in much greater comfort than in a PR9 – take a look at the navigators position in the nose of a PR9! The advantages of fleet commonality with the Sentinel are self evident, particularly in terms of the airframe, engines and pilot training and these would help reduce costs, as the eventual replacement for the Canberra PR9 will almost certainly be based alongside the Sentinel R1 at RAF Waddington. However, as the current and future UK defence budget is under enormous strain and this will result in aircraft being withdrawn from service prematurely, together with a number of station closures, it’s difficult to see where the money can be found to get a PR9 replacement in service by 2006. Although the 4 camera equipped Nimrod MR2s can provide some capability, I suspect the PR9 will probably have to soldier on until the end of the decade, because its eventual replacement is still a long way from entering service. Also currently underway is Project Helix, a £400m programme looking at the cost effectiveness of a number of platforms, including MRA4, Business Jets, Large Aircraft and UAVs, that could undertake the Electronic Surveillance task. Project Helix will sustain the capability currently provided by the Nimrod R Mk 1 ELINT aircraft operated by 51 Sqn based at RAF Waddington, resulting in the installation of updated and improved missions systems in the R1s, as well as considering how these new systems could be installed in the Nimrod MRA4 and UAVs. Three companies, L-3 Communications, Lockheed Martin and Northrop Grumman, are conducting parallel 9 month studies, but by 2006 these 3 companies will be whittled down to one for the initial project phase worth £200m – a second project phase of £200m will follow later. Despite their age, and the eventual replacement of the Nimrod MR2s by the MRA4, the 3 Nimrod R1s are scheduled to remain in service until 2012. Raytheon, under Project Extract worth some £100m, completed a mission system upgrade on the 3 aircraft in 2003. This upgrade, which replaced manually operated collection systems with automated collection equipment, plus other hardware and software enhancements, will ensure the aircraft maintain their capability as their eventual retirement and replacement draws ever nearer. The replacement for the R1 will turn on one simple question – manned or unmanned. At the moment there appear to be no plans to convert additional MR2 airframes into MR4As to replace the R1s. However, given the delays that have occurred to this project, I imagine it would still be possible to add three additional airframes to the end of the programme. 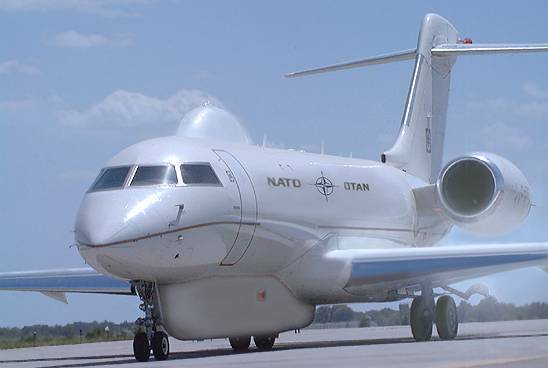 Nevertheless, it might well prove more attractive and cheaper to purchase some additional Bombardier Global Express aircraft, providing a common airframe with the Sentinel R1, and convert these aircraft for ELINT duties. Although an ELINT Global Express would have to operate with much less on-board equipment than the current R1, the continual shrinkage and increased sophistication of electronic systems may well make this possible. 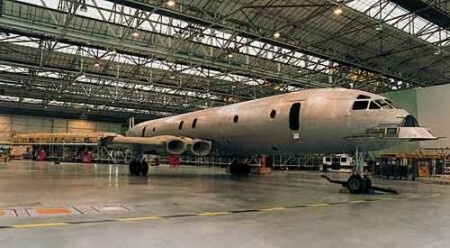 However, the mission crew size of the current Nimrod R1 would also have to shrink considerably, but provided much of the ‘take’ was uploaded via a SATCOM datalink to a sophisticated interpretation centre, this issue could be resolved and may well prove to be an attractive option. I imagine that great interest will be taken by the UK MOD in the recent successful trial at Nordholz in Germany of an ELINT equipped Global Hawk as a potential replacement for their ELINT Atlantics. The benefits of using a HALE UAV, with again the ‘take’ data linked via SATCOM direct to a well equipped interpretation centre, are obvious. 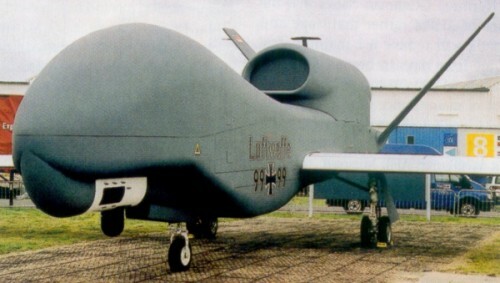 Nevertheless, although the potential benefits of an unmanned system are clear, whether the UK is willing to take such a radical step will probably depend on whether the Germans ELINT Global Hawk, planned to enter service in 2008, proves to be a success. Although GROB-Werke is a relatively small Bavarian company best known for producing trainer aircraft, GROB have also built two unique high-altitude reconnaissance aircraft, the G520T Egret and the G850 Strato 2C. Only six G520T Egret’s were built, four remain in service in the USA where they are employed by various government agencies, such as the CIA and DEA, during operational activities as high-level radio relay stations and platforms for electro-optical sensors and ELINT packages. One Egret is based in Australia, although the nature of it’s current employment is unknown. The final Egret is now in the GROB Museum at Mindelheim. 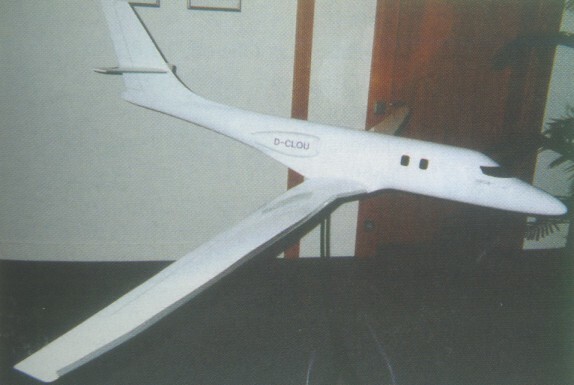 Only one G850 Strato 2C was produced for the German Defence Ministry and it was designed to operate up to 78,000ft for up to 48 hrs carrying a number of unspecified sensors. Unfortunately the end of the Cold War put paid to the role the Strato C was built for and the aircraft never entered service – today it also resides at the GROB Museum at Mindelheim. GROB have never given up their plan to build a successful High-Altitude Long-Endurance (HALE) product and have decided to try and compete with the successful Northrop Grumman Global Hawk. This June at the Paris Air Show GROB unveiled a stretched version of its G180 SPn business jet, designed as a manned or unmanned high altitude surveillance and communications platform, known as the GROB HALE G 600. The aft section of the basic G180 fuselage will be extended and fitted with a new 116.8ft span high aspect ratio all composite wing and the aircraft will be powered by two Williams FJ44-4A engines each producing 3,500 lbs of thrust. The G600 will be capable of carrying a payload of cameras, IR systems and various other sensors depending on the mission requirements, up to a maximum weight of 2,650lbs. With a maximum take-off weight of 17,100lbs the G600 would be capable of with a two man crew for up to 17hrs at altitudes up to 65,000ft and have a range of about 5540nms. With four additional 1,000 litre fuel tanks installed in the rear fuselage, the G600 Extended Range (ER) would have a range of around 11,340nms, giving two G600ER the ability to cover any point in the globe. GROB have stated that they have received ‘substantial’ European military interest in the G600 and they are marketing this proposal on the basis that it would cost 90% less than a Global Hawk. If the company secures just one launch customer it estimates that it would be able to fly the aircraft within 13 months and then secure full certification and customer delivery within another 11 months. The GROB G600 is certainly a relatively low-cost solution for countries seeking a HALE platform for surveillance and communications duties. However, as an manned, unarmed and relatively slow aircraft, it is very debateable whether it could be seriously considered for use over a hostile country and is better suited for border surveillance. Whether the G600 will ever be produced is another matter and, if it is, I suspect the numbers built will be small and it could well end up like the Egret – as yet another unusual, but ultimately un-commercial GROB design. The capabilities of airships to provide a very effective radar platform have long been recognised, but only now, as enabling technologies have been developed, is this programme beginning to mature. 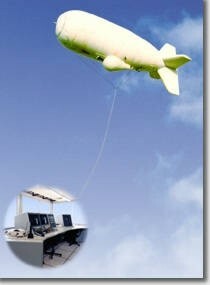 One use that the airships are particularly suited for is in providing a long-endurance high-altitude platform for radar and other surveillance systems. This capability has come into particular focus in the USA following the events of 9/11 and have caused all departments tasked with securing the countries borders to consider how a more effective system can be deployed. North American Aerospace Defence Command (NORAD) have plans to deploy 11 high altitude airships to provide overlapping radar coverage of all maritime and southern border approaches to the CONUS. 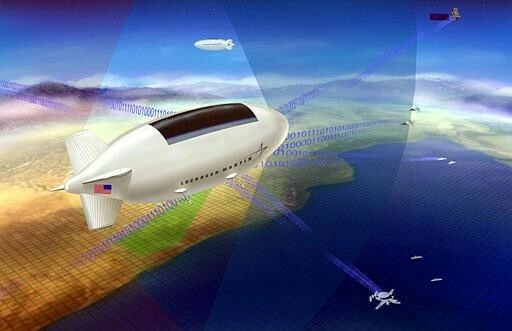 The unmanned airship, known as the Stratospheric Platform System (SPS), would be capable of maintaining an almost geostationary position at around 70,000ft, well above the jet stream and other weather features. The prototype SPS will need to be capable of lifting a payload of 2 tons to 70,000ft be able to be controlled from a ground station and provide an unobstructed view for the onboard sensors – future developments may eventually see an SPS developed with 5 or 6 times greater payload capability. Filled with helium to provide lift, the SPS would need to be capable of generating a considerable amount of energy and converting this into sufficient thrust to remain on station. It would clearly be impractical and inefficient to carry large amounts of fuel internally and so the SPS will be have to be capable of generating most of its thrust requirements on station. The power requirements will be met by a combination of thin-film photovoltaic (PV) cells, capable of generating voltage from sunlight, mounted on the external surface of the SPS, together with internal fuel cells to provide power during periods of darkness. In theory, the SPS should be capable of remaining on station for up to six months at a time, provided helium loss is kept to a minimum and sufficient electrical power can be generated. 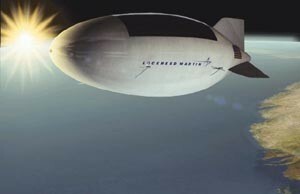 On 29 September 2003 the Missile Defense Agency (MDA), which oversees the High Altitude Airship (HAA) programme, selected Lockheed Martin's Maritime Systems & Sensors sector based in Akron, Ohio, to build the unmanned lighter-than-air vehicle over competing bids by Aeros and Boeing. 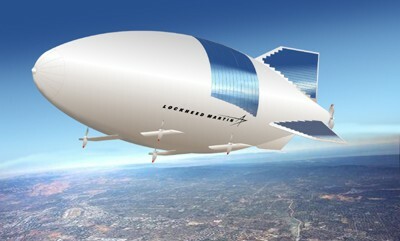 Lockheed Martin's highly autonomous, helium-filled design is 152.4m long, 48.7m in diameter, with a volume of 1.5 million m3, said Ronald Browning, the company's director of surveillance systems business development. It carries four electric motors with vectorable large twin-bladed propellers, two on each side of the vehicle. Barber characterised the airship as "a great marriage" of old lighter-than-air technologies and new innovations. The latter include high strength-to-weight ratio materials for the airship's skin and thin-film photovoltaic cells to generate power from sunlight for the vehicle's propulsion and the additional 10 kilowatts necessary to operate the airship's payload. The company is now under a $40 million contract to mature its airship design through a critical design review in mid-2004. Much will hinge on the success of this programme, provided the airship performs as planned it will probably usher in a platform that could be used for many other applications. By early 2007 it became apparent that, despite many new technologies and advances in this area, Lockheed were still struggling to achieve the design goals of the development programme. The difficulties of attempting to balance payload weight and available power still appear beyond current technology and in early 2007 it was announced that the programme would be terminated. However, the requirement for this platform remains extant and I doubt we have heard the last of this of this concept. As and when the necessary technology is sufficiently mature, I imagine the High Altitude Airship will once again re-appear. Unfortunately, since the partition of the old Imperial India into India and Pakistan, the two countries have been either at war, recovering from war or at peace but with both sides preparing for the next war and sadly there seems little likelihood that this cycle will be broken in the near future. In Apr 00 Russia caused consternation in Pakistan when they detached two Russian Beriev A-50 Mainstay AEW aircraft to operate from an Indian Air Force base, during a lengthy demonstration of AEW capabilities to Indian Air Force personnel. Although both India and Pakistan have long recognised the benefits of operating an AWACS aircraft, cost and more importantly, actual availability always mitigated against either country being the first to actually operate these ‘force-multipliers’. 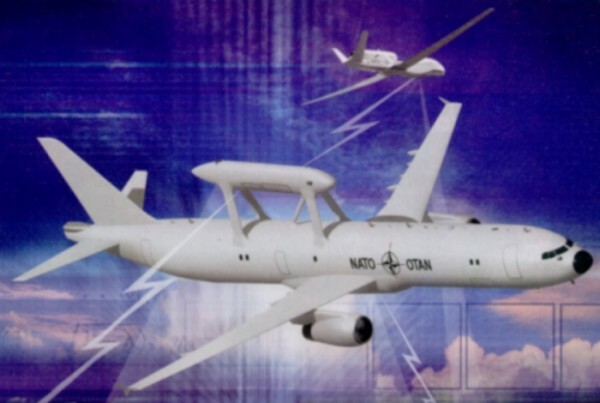 America, aware of how easily an ‘AEW Race’ could be started, always rebuffed any attempt by the countries to purchase either the E-2C Hawkeye or the E-3A Sentry. Russia initially appeared more willing to allow India to upset the military balance in the area by offering them the Beriev A-50 Mainstay. However, the deal fell through, either because Russia was unwilling to agree to the ‘technology transfer’ necessary to allow the IAF to operate and maintain the aircraft or because Russia wanted too high a price for what India perceived as essentially a first generation AEW system and one that was markedly inferior to either American aircraft. Consequently, on 11 Aug 03 it was something of a surprise when the US State Department announced that it had no objections to the sale of the Phalcon system to India. Following detailed negotiations, on 5 Mar 04 the Indian Ministry of Defence and Israeli Aircraft Industries (IAI) finally signed a deal worth up to $1.1 billion for the supply of three Phalcon AEW systems installed on Il-76MD Candid aircraft. The US agreeing to the sale of the Phalcon system was a surprise because in the past, other than the sale of one Phalcon equipped 707 to Chile, America has blocked Israeli ambitions to sell the Phalcon system elsewhere – most notably China. As production of the Il-76MD Candid aircraft ceased some time ago, the 3 Indian aircraft are expected to be sourced from the Tashkent factory in Uzbekistan, where a number of surplus incomplete airframes are available for disposal. The airframes will be flown from Tashkent to the Irkut Corporation facility at Irkutsk, where, along with some structural modifications, they will be completed and more powerful Aviadvigatel PS-90A will replace the standard D-30KP-2 turbofans. Then the completed aircraft will be flown to the IAI factory in Israel for the installation of the Phalcon radar system. The exact specification of the Indian Phalcon system is unknown, but it has certainly been developed considerably from the version sold to Chile in 1994. Whether the Indian Air Force will be supplied with the ‘full-strength’ Phalcon, equipped with a phased-array radar, phased-array IFF, ESM/ELINT and CSM/COMINT, which functions as a sophisticated intelligence gathering, as well as AEW aircraft, remains to be seen. The Phalcon system is believed to be capable of tracking up to 60 targets at ranges between 435-500 miles, giving the Indian Air Force the ability to survey large areas of Pakistan from within Indian airspace. Currently, the first aircraft is scheduled to be delivered in Dec 07, followed by the second nine months later and the last aircraft around Apr 09. Israel has also agreed to supply India with high-resolution pictures from its Ofeq-5 photo-reconnaissance satellite of the Kashmir region and the line of control area between India and Pakistan. Finally, in 2003, Israel sold India a number of Aerostat balloons, equipped with phased array radars that are permanently deployed along the border with Pakistan. India has also decided to spend $400 million reviving its indigenous AEW system. This project was cancelled in 1999 when their HS-748 test platform crashed after the rotordome collapsed into the fuselage and then fell off – the crash killed the three crew and five of the key project scientist’s who were also on board. 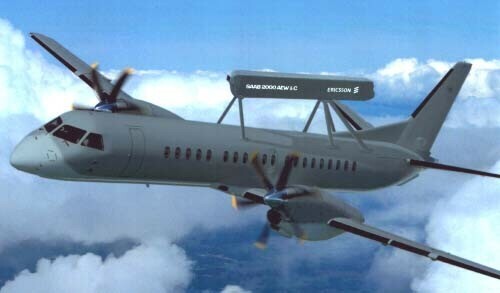 Rather than attempt another rotordome mounted radar, this time the Indian Electronics and Radar Development Establishment (LRDE) will try and develop a smaller electronic phased-array radar, that can be mounted on the top of the fuselage of a small business jet, similar to the Ericsson PS-890 Erieye radar that currently equips the SAAB Argus AEW&C and Embraer EMB-145SA. Other unconfirmed reports indicate that India has already ordered five Embraer EMB-145 aircraft from Brazil for $200 million on which to mount the radar. However, given events in India, Pakistan has quickly responded to its own lack of an effective AEW&C aircraft. Currently Pakistan is negotiating with SAAB to acquire six Erieye equipped SAAB 2000 AEW&C aircraft. Talks on the financial and technical aspects of the contract are continuing, but agreement in principle has already been established, although the exact timescales have yet to be announced. The Swedish Argus AEW&C was based on the SAAB 340 which went out of production in 1999. Consequently, for Pakistan the Erieye radar will be mounted on the larger, but very similar SAAB 2000 airframe – integrating the Erieye radar system should be fairly straightforward in this larger airframe. Pakistan considered ordering the Embraer EMB-145SA, but decided that, as well as being more expensive, the aircraft lacked the necessary altitude performance to cope with the hot & high conditions in Pakistan. Powered by two Allison/Rolls-Royce AE2100 engines, the SAAB 2000 can remain airborne for nine hours at 30,000ft, a significant improvement on the GE-CT7-98 powered SAAB 340 Argus. Although the SAAB 2000 also went out of production in 1999, SAAB has sufficient aircraft in its inventory to complete this order. Sweden is also considering replacing the SAAB 340 Argus with the SAAB 2000 Erieye system, as the larger internal volume of this airframe allows for the installation of additional control consoles and communications equipment – allowing the aircraft to be employed as a much more effective airborne command & control post. Progress in India’s programme to acquire an indigenous AWACS capability appear to have hit a major stumbling block in 2006, with the Indian Air Force (IAF) stating publicly that the Indian Defence Research and Development Organisation’s (DRDO) $500 million 2004 project to design and develop an AWACS system, currently fails to meet the requirements for a system that can be deployed to support all three military services as necessary. The Indian Air Force is the lead service for this project and appears to be taking a hard line with the DRDO - in their view there appear to be two main problems with the programme. The first seems to centre around the performance of the Embraer EMB-145 platform that was chosen to carry the DRDO developed phased array radar. It now appears that with the radar mounted above the fuselage, the aircraft cannot fly for 10 plus hours above 40,000ft, which are the minimum requirement for the defence forces. The second objection focussed on the DRDO developed phased array radar which apparently only has a range of 300km and an area coverage of 240 degrees – both less than required. The IAF now wants the DRDO to work closer with them to ensure that the revised technical parameters set for the programme meet the customer’s requirements. The technical parameters should be completed by mid-2007, but the likely in-service date will slip from 2012 to 2016 – a considerable delay. This delay is a considerable blow to the Indian plan to be able to deploy up to three aircraft in support of their armed forces. Perhaps initially there was a degree of over-confidence on the part of the DRDO who clearly believed they could develop a phased-array radar, with similar performance to the Ericsson’s PS-890 Erieye radar that is mounted on the SAAB100B Argus, in a very challenging timescale. This is the second time that the DRDO has suffered a setback in their attempts to develop an indigenous AWACS capability, following the crash of an ill-judged experimental AEW HS-748 and it now appears they have again decided to use an unsuitable aircraft for the task. Despite these setbacks, never mind the cost involved, India is determined to develop their own AWACS capability, however, whether it will actually ever be as capable and cost-effective as an off-the-shelf SAAB 2000 with an Erieye radar, that Pakistan is purchasing, remains to be seen. Over the last 30 years, many countries have attempted to develop indigenous AEW radar and their associated systems – until the arrival of the Erieye and Phalcon systems, only the USA and USSR really succeeded. Given the financial and technical difficulties involved in developing an indigenous AEW&C capability, Pakistan's decision appears well founded and in the long term may well result in a much more cost-effective and capable system than the recent decision in India may eventually deliver - only time will tell. Many commentators have suggested that the UK has been rather slow to grasp the many advantages offered by UAVs. However, this delay has not been through a lack of interest by the military, rather it has been a direct result of the current UK government’s unwillingness to provide sufficient funding. However, the UK MOD has now stated its intention to introduce a Network Enabled Capability (NEC) for UK forces, a significant part of which is an enhanced Intelligence gathering, Surveillance, Targeting, And Reconnaissance (ISTAR) capability. To identify how UAVs can most effectively contribute to this enhanced ISTAR capability, as well as identifying the contribution they can make to the overall UK defence capability, the MOD commenced the Joint UAV Experimentation Programme (JUEP). This organisation, know as Team JUEP is actually lead by Thales UK and already operates an EADS Eagle MALE UAV, now wearing RAF titles and the serial ZJ989, which is currently being flown in various military exercises in the USA and Canada to support of UK forces. On 4 Nov 04, in the latest part of this programme, Thales, Boeing and QinetiQ, signed a contract with the MOD for the Maritime element of this programme, to investigate the Joint Service operational requirements for future maritime UAVs. A single Boeing ScanEagle UAV will be acquired for this purpose and modified by Boeing to comply with UK safety and airworthiness regulations. ScanEagle is launched autonomously via a pneumatic wedge catapult launcher and usually flies an autonomous 15hr mission guided by GPS at around 50kts at 1000 to 3000ft. ScanEagle is equipped with an inertially stabilized electro-optical or infra-red video camera. Personnel from Thales will fly the ScanEagle in a series of exercise that will investigate how the UAV can improve the detection, recognition and identification of both conventional and asymmetric threats in a maritime environment and the contribution it can make to command decision making and target prosecution. It is anticipated that the ScanEagle will also work alongside an RN Sea King 7 Airborne Surveillance and Control (AS&C) helicopter to investigate how it can enhance its capability. The RN have also have a Maritime Airborne Surveillance and Control (MASC) programme to identify a new AEW system to operate from their two new carriers. As no UAV currently has a genuine AEW capability, it will be interesting to watch how this programme develops, assuming the carriers actually get built, which is by no means certain. In another UAV development, under an Urgent Operational Requirement the UK MOD has purchased 12 Buster and 13 Desert Hawk UAVs. The Buster (Backpack Unmanned aerial vehicle Surveillance and Target acquisition Enhanced Reconnaissance) UAV is made by Mission Technologies Inc and will be used in various JUEP trials. The Buster typically operates at around 500ft and is designed to provide small units with tactical reconnaissance – the complete system consists of two or more 10lbs air vehicles, a ground control station and a launcher. The Buster was first demonstrated to British forces in Oct 03 at Larkhill in Wiltshire. The Desert Hawk is a similar miniature tactical UAV system and is manufactured by Aeromech Engineering Inc under sub contract to Lockheed Martin’s Skunk Works. The battery powered Desert Hawk is constructed of mold-injected expanded polypropylene – a flexible, damage resistant type of foam and weighs 7lbs. 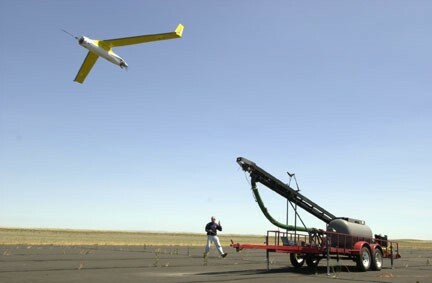 Launched by two people using a bungee cord, the Desert Hawk flies its mission fully autonomously at between 40 – 80km/h at a maximum height of 500ft. The 1lb sensor payload is carried in the middle of the fuselage and consists of either a colour video camera or a thermal imaging system for night operations. The Desert Hawk will be used by personnel from 22 Battery 32 Regt Royal Artillery in support of UK Forces operating in Iraq, and they have already been trained on the system in the USA. To replace around 110 aging Lockheed Orion P-3 Maritime Patrol Aircraft (MPA), in March 2000 the US Navy drew up a requirement for around 150 new multi-functional aircraft and named the programme the Multi-mission Maritime Aircraft (MMA). The competition soon narrowed down to two aircraft, a version of the Boeing 737-800 and a new version of the Lockheed P-3 Orion, named the Orion 21. New Pratt & Whitney PW150 engines, originally used for regional turboprops, with Hamilton Standard eight blade all composite propellers, with individual blade replacement. Open systems architecture avionics featuring a fully-digitized all glass cockpit. Logistics support programme focused on real time fleet health assessment. 50 per cent increase in mission range and endurance over legacy systems. 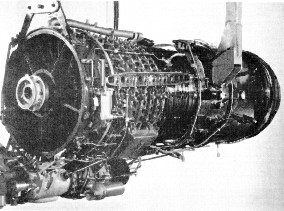 Lockheed Martin selected a turboprop engine because it believed this would provide optimal performance in the ASW mission. The company claimed this would give the aircraft 25% more power, 60% more thrust and burn 27% less fuel then a turbofan - a direct challenge to Boeing's proposed MMA trubofan powered 737. However, Lockheed’s efforts were in vain and on 14 Jun 2004 the US Navy awarded the MMA contract to Boeing and their 737-800 known as the P-8A. A great many countries intend to continue operating their P-3 Orions for many years to come, although many of these 14 operators have expressed an interest in acquiring an updated version of the P-3, it seems unlikely that the Orion 21 would ever be commercially viable without the MMA contract. In Since the MiG-31 Foxhound first entered in service in 1979, many people have wondered why a reconnaissance version has never been developed. The MiG-31 Foxhound was based on the MiG-25 Foxbat, a fairly crude aircraft constructed mainly from nickel steel, with limited avionics and powerful, but inefficient turbojet engines. However, the two-seat MiG-31 was virtually a new design, with better avionics, more reliable and efficient turbofan engines and made greater use of light alloy and titanium. The performance of the MiG-31 is very similar to the MiG-25, but the handling and endurance have been improved considerably. A reconnaissance version of the MiG-31 has never been developed because of a lack of funding. Although initially planned as to interceptor to counter the planned XB-70 Valkyrie Mach 3 bomber, the MiG-25 was also developed into a dedicated reconnaissance version, the MiG-25R. However, it was soon decided that, rather than being simply a dedicated reconnaissance aircraft, the MiG-25 would be more useful if it had some additional capability. Consequently, further reconnaissance versions such as the MiG-25RB, MiG-25RBS, MiG-25BSh, and MiG-25RBV all had a variety of additional capabilities in addition to reconnaissance. Versions of the MiG-25 were sold to Algeria, India, Iraq, Libya and Syria. Apart from Russia, only Algeria, India, Libya and Syria still operate MiG-25s and most if not all of the aircraft operated by India are believed to have ceased flying in late 2005. However, it has recently been announced that RSK MiG have invited Algeria and India to exchange their small fleets of MiG-25s for new MiG-31s. This buy back deal would then allow RSK MiG to dissemble the aircraft and use the spare part recovered to sustain the MiG-25s operated by Libya and Syria, most of which have been grounded due to a lack of spare parts. However, attractive this offer might seem on the surface, I wonder if either country will take the bait. Although the MiG-31 Foxhound could easily be adapted into an effective reconnaissance aircraft, by removing the internal GSh-6 six-barrelled 23-mm cannon and replacing it and other avionics with internal cameras and a SLAR, the aircraft would still be very expensive to operate. A fairly small, reasonably stealthy UAV could easily achieve a similar reconnaissance capability, albeit much slower, and have considerably greater loiter time at a fraction of the cost. I suspect that behind this offer is RSK MiG’s desire to develop a reconnaissance or multi-role version of the MiG-31 Foxhound that might attract other export orders and a purchase by the Russian Air Force. However, I suspect both countries will look to replace the reconnaissance capability offered by their MiG-25 with UAVs and will seek to strike a hard bargain with RSK MiG for cash on the nail for their Foxbats, rather than acquire new Foxhounds. A small part of the ‘back’ curtain covering the procurement of the next generation of US spy satellites was briefly lifted in the summer of 2005 at a meeting of the US Congressional House Permanent Select Committee on Intelligence. Because of poor budgetary control in the past by the 15 agencies that make up the intelligence community, the Bush administration appointed John D Negroponte to a new post as Director of National Intelligence (DNI) and gave him ultimate control over the funds spent by all the agencies. Negroponte is particularly concerned over two highly classified, very important and very expensive programmes being run by the National Reconnaissance Office (NRO). The first programme is planned to build the next generation of stealthy spy satellites – earlier versions were known by the codename ‘Misty’. These ‘stealth’ satellites are so small that, orbiting in close proximity to ‘space junk’, it is very difficult for enemy radars to distinguish the satellite from the surrounding debris. The number of current ‘stealth’ satellites in orbit is unknown, but it is believed that some have been placed in orbit covertly whilst riding ‘piggy-back’ on another overt satellite launch, or have ridden covertly into orbit inside the Space Shuttle. The payload these ‘stealth’ satellite carry is unknown, but given their fairly small size in relation to other more overt reconnaissance satellites, I imagine they are usually equipped with an electro-optical payload. Hiding in amongst space junk, if the satellites are not detected they prevent a potential enemy from predicting their orbital path and then hiding any sensitive equipment from the camera. The engineering challenges associated with compressing the necessary technology into a satellite sufficiently small to remain undetected must be huge, particularly as additional capabilities are added to the specification. As a consequence, the budget costs for this next generation of ‘stealth’ satellites has doubled in recent years to $9.5 billion – attracting the attention of the DNI. The other programme that has attracted the attention of the DNI is the Future Imagery Architecture (FIA). The FIA programme plans a new generation of non-stealthy satellites that can gather intelligence using optical and radar sensors, as well as having listening and infrared capabilities. This programme has been running since the late 1990’s with costs increasing on a regular basis – the current estimate is more than $25 billion over the next decade. The importance of these two programmes in enabling the US to continue to gather high quality intelligence from orbit over the next decade cannot be under-estimated. Nevertheless, when the costs of the programmes rise sufficiently to make a country as rich as the US pause and take stock, it’s little wonder that few other countries can afford to operate orbiting reconnaissance satellites – and those that do in the future will continue to have systems a generation or two behind what $25 billion dollars and vast US technological industrial expertise can produce. The success of the US Northrop Grumman E-8 Joint STARS, in which the combination of a long-range battlefield surveillance platform mounting a side-looking phased array multimode radar, has made other commanders aware how essential this capability is to the successful conduct of modern warfare. In the E-8 the ability of the Northrop Grumman APY-3 to operate in either synthetic aperture mode, where it can distinguish targets out to 175km and survey a vast area in one eight hour sortie, or pulse doppler mode where it can track moving vehicles, has been used to great affect in the first Gulf War in 1991, Bosnia and Kosovo between 1995-9 and the second Gulf War in 2002. 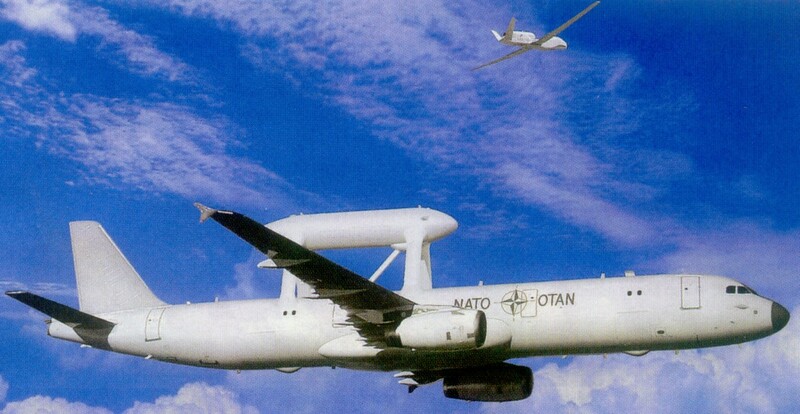 NATO soon recognised that the organisation needed the same capability, which it entitled the Alliance Ground Surveillance (AGS) system, but, as with the E-3A Sentry, it needed to be independent of direct US control. Using a similar mode to the successful multi-national NATO purchase and operation of the Sentry was an obvious solution. At around the same time the UK was also interested in purchasing an aircraft with exactly the same capability but in a much shorter timescale; nevertheless, NATO attempted to draw the UK into the AGS group. However, the UK has, through some bitter experiences, grown wary of being drawn into a collaborative project where a large number of countries are involved, particularly if France are included. The UK’s reluctance to be drawn into these groups are because the projects invariably take much longer, are more expensive, the specification is focussed on a broader NATO requirement rather than exactly what the UK needs and finally the finished platform is controlled by NATO and not the UK. For these reasons, the UK once again opted out and instead went ahead with the purchase of the Sentinel R1 ASTOR, tailored to UK requirements, owned, operated and based in the UK. I also imagine UK Ministers decided it was better to spend UK taxpayer’s money supporting UK industry, rather than see this money largely disappear across the Channel. 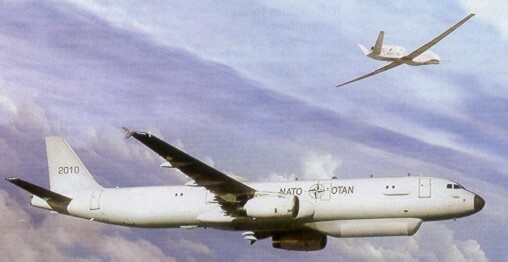 By 12 Jan 04 two bids had been received by NATO in response to their requirement for the successful bidder to use the planned active electronically scanning Transatlantic Co-operative AGS Radar (TCAR), which is a further development of the US Multi Platform Radar Technology Insertion Programme and the European Stand-Off Surveillance and Target Acquisition Radar (SOSTAR) technology demonstrator. The two competiting consortia were known as the CTAS and TIPS teams. The CTAS or Cooperative Transatlantic Alliance Ground Surveillance team consisted of Raytheon (USA), BAe Systems (UK) and AMS, a UK/Italian company. The CTAS team were hoping to build on the Sentinel R1 ASTOR programme by offering eight Bombardier Global Express aircraft, equipped with the TCAR radar, or five aircraft and seven long endurance Predator B UAVs, . The aircraft were planned to operate with two pilots and three system operators. In addition, both options included the delivery of 49 general ground stations, including 30 mobile systems, one maritime system together with additional fixed and transportable units. Arrayed against the CTAS team were the TIPS team, a wide ranging alliance consisting of EADS (Multi national European), Galileo Avionica (Italy), General Dynamics Canada, Indra (Spain), Northrop Grumman (USA) and Thales (French). TIPS were also offering a similar mix of aircraft and UAVs. The TIPS solution was six modified Airbus A321 airliners, equipped with the TCAR radar and work in conjunction with six Euro Hawks UAVs, a specific variant of the High-Altitude Long- Endurance (HALE) Global Hawk, also equipped with a smaller version of the TCAR radar. It was originally planned to fit the TCAR radar in the A321 in a ventral canoe shaped fairing under the forward fuselage, similar to the location of the radar in the E-8 J-STARS. However, it was later decided to adopt a simpler, lower risk, solution, by locating the radar in a large quadripod on pylons above the fuselage. Although much less elegant, mounting the radar above the fuselage will involve fewer modifications and also improve manoeuvrability. The TIPS A321 will fly up to 39,000ft at around 500kts with a typical mission length of 10 hours which can be extended by in flight refuelling. The A321 will carry a multi national crew of 2 pilots and around 14 system operators, who can provide onboard imagery-processing and a battle management/command and control capability, although the majority of the intelligence processing will take place on the ground after the imagery has been sent via data-link or SATCOM to a ground station. The TCAR radar on the A321 will measure between 17-18 feet long and two feet high. The Euro Hawk will be a special version of the RQ-4B Global Hawk, a HALE UAV that has already proved itself over Afghanistan and Iraq. The smaller version of the TCAR radar on the Euro Hawk will be 9-10 feet long and 15 – 18 inches high and the UAV will also be equipped with a sophisticated suite of electro-optical and infrared sensors and be linked to both the A321 and ground stations by either data link or SATCOM. Typically the Euro Hawk will fly a 24-36 hr mission at 340kts and 65,000ft. Germany has already committed itself to the purchase of six similar Euro Hawks, but equipped with an EADS ELINT package carried in place of the electro-optical sensor, to replace their ELINT Dassault Atlantics. In Apr 2004 it was announced that the TIPS team had been selected to provide the NATO AGS system, an unsurprising decision as the selection of this consortium would provide the most work for European aerospace companies. Raytheon protested the award of the contract, but to little affect. The TIPS team a two year 350 million euro ($423M) design and development contract which should be signed by spring 2005. The first flight of the modified A321 is planned for early 2008, with the TCAR integration by mid 2008 and production in 2010. Euro Hawk delivery and certification is planned for mid 2007 with TCAR integration taking place some time between 2009-11. The NATO AGS programme was thoroughly derailed at a meeting of the projects steering committee in Brussels on 20 Oct 06, when France and Germany raised objections to certain aspects of the project. France decided to raise doubts about aspects of the AGS requirements, despite their own experts having had a major hand in drawing up the specifications. Germany suddenly decided to object to the projects $4.2 billion price tag, although it has known all along that the original price tag was probably on the low side and that these kind of multi-national projects always end up costing more than originally estimated, simply because too many fingers are in the pie at the outset. Following these objections, NATO’s conference of national directors (CNAD) were poorly placed to begin negotiations with the six-member AGS industry consortium, but agreed to start talks and also gave France and Germany the option of leaving the programme, although exactly how it could survive without these two major European partners, who are also contributing 34% of the projects cost, was conveniently overlooked. Of even greater interest is the background to France’s objection, as the key to the whole project is the radar system carried aboard the Airbus 321s and Global Hawks. France and some other partner nations had previously agreed that the best solution was to customise the radar carried by the Airbus 321s to fit inside the Global Hawks, or possibly building a new radar if this proved too difficult. In the event, financial considerations resulted in an agreement, accepted by France, to concur with the industrial consortium’s recommendation to use an updated version of the USAF J-STARS radar made by Northrop Grumman and Raytheon. Now a French official has said “We agreed to go ahead with the project, but we reserve the right to study the radar aspect and withdraw from the project if the requirement does not meet France’s expectations – we think the radar is quite expensive”. Other officials indicated that they believed that the industrial consortium’s recommendation to use an updated version of the USAF J-STARS radar did not offer real trans-Atlantic co-operation and that there should be more European involvement in the radar development. Furthermore, they believed that operational needs had changed since the program was first defined in the early 1990’s and that the mission should be re-evaluated, though not re-defined. An incremental step approach was preferred to acquiring a high performance system at huge expense. However, all this waffel is really nothing more than a smokescreen to disguise France’s ambition to replace the proposed AGS radar with an all-new European radar, preferably designed and built in France. Throughout most of the AGS programme, French have continually changed their position, one minute supporting the programme, the next minute obstructing the programme, simply as a means of obtaining either a technological or industrial advantage. The USA is keen to see better interoperability between US and European equipment and is supported by their aviation industry which is keen to sell equipment abroad. However, US officials are also only too well aware of how duplicitous the French can be in their desire to acquire US technology. Many US officials now believe that the new French position on the AGS price and radar requirement is just a ploy to allow France to achieve what they have always really wanted – a radar completely independent of the US, but preferably making maximum use of US technology acquired under the AGS programme. In effect, the French are believed to have used the AGS programme simply as a cover for their attempts to learn as much about the US APY-3 Norden Systems multi-mode phased array radar as possible, before creating some objections that would result in the radar being replaced by a new radar designed and built in France. 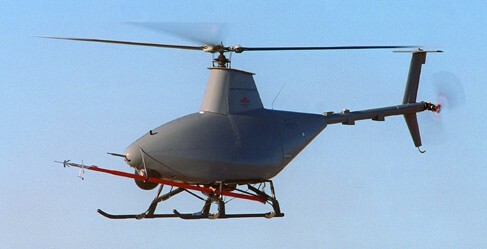 Having acquired the necessary technology, the French could then adapt it for use in their own UAVs or fighter aircraft. The French and to a lesser extent the Germans are playing a dangerous game in this latest twist to the AGS programme and one that could have very serious implications for the industrial consortium’s partners, EADS, Galileo, Avionica, General Dynamics, Canada, Indra, Northrop Grumman and Thales. Cost-shares arrangements have still to be finalised, but at the moment the loss of France with a 16% stake and Germany with a 18% stake would surely be a death blow for this troubled project. If this happened, it would also mean that the remaining countries Italy, the Netherlands and Spain would be without the capability, despite having already invested a considerable amount of money. This latest example of French double-dealing in the AGS serves only to emphasise the wisdom of the UK’s decision to go ahead and acquire the R-1 Sentinel independent of any other country. In addition, it also should serve as a warning to any country considering joining the French in a joint project – in a word, don’t!! The US Air Force has employed aerostats for some time and has learnt to appreciate the benefits of a vehicle that can loiter over a particular area for an extended period providing reconnaissance and communication facilities. However, current aerostats are tethered generally below 15,000ft and the US Air Force has decided to investigate the benefits of a semi-autonomous lighter-than-air unmanned vehicle that could operate in the uppermost reaches of the atmosphere, referred to as ‘near space’, for extended periods. The proposed vehicle is referred to as the Near Space Manoeuvring Vehicle (NSMV) and the concept calls for the vehicle to loiter between 100,000 and 120,000ft in the region above fixed-wing aircraft and below low-earth orbit satellites. Currently this whole area of airspace simply isn’t used and yet a vehicle that could operate at this height would be free from attack by current aircraft, above the present generation of SAMS and clear of bad weather. 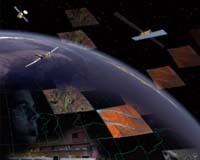 The US Air Force’s Space BattleLab and Space Warfare Centre, both located at Schriever Air Force Base, Colorado are pursuing the NSMV concept as a means of supporting theatre commanders with a system that can provide a more dedicated and responsive communications, intelligence and reconnaissance capability. The NSMV is designed to compliment rather than replace other systems like the Global Hawk and would free up this highly capable UAV for more urgent missions. 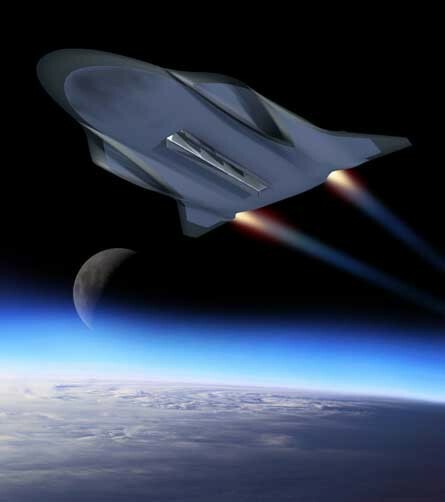 To validate the NSMV concept the Space Battlelab intend to use an unusual V shaped prototype air vehicle called ‘Ascender’ that has been manufactured by JP Aerospace of Sacremento, California. 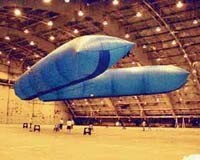 The first version of ‘Ascender’ is a 93ft long model that has already performed successful flight tests within a hanger. The next stage will be to begin flights of a 175ft version of ‘Ascender’ will the aim of climbing the aircraft to 1000,000ft, have it navigate between two points, loiter over the second point for a short period of time and then return safely to base. If initial tests prove successful, the next stage will be to mount a 100lb payload on the vehicle and launch it to between 1000,000 and 120,000ft where it would have to navigate for 370km, loiter for 5 days and then return to base. Unfortunately, the NSMV project eventually ran into some design problems and two flight tests were considered unsuccessful. This prompted the USAF to transfer management of the NSMV away from JP Aerospace to GSSL, another company with considerable experience in airship design. However, when GSSL examined the NSMV design they came to the conclusion that it did not meet the USAF requirements and, as a result, the USAF decided to cancel the complete NSMV project. When it was decided to terminate the J-UCAS programme various theories were aired about the real reasons behind this decision. The most obvious reason for the cancellation was that the differing requirements of the USAF and USN were never likely to be achieved in a single airframe, a lesson the US Defence Department should have learnt when the naval version of the F-111 had to be cancelled for exactly the same reasons. However, Nick Cook of Janes was quick to spot another reason for this cancellation when he saw in a Navy Fiscal Year 2007 budget document that the old J-UCAS programme was to be split into two separate programmes – a classified USAF programme and a Navy UCAV programme, with over $1.7 billion earmarked for these two separate programmes. It is believed that the new USAF programme draws on much of the research and development undertaken during the J-UCAS programme, but is a completely new UAV known as the Penetrating High Altitude Endurance (PHAE). The PHAE is understood to be a highly stealthy design capable of cruising at 70,000 - 80,000 ft, with a very long endurance and is designed to be able to penetrate the most densely guarded airspace whilst remaining undetected and provide a persistent reconnaissance capability over the target. One report has suggested that the PHAE is a twin-engined design and the extra redundancy this would provide, enabling this highly classified vehicle to recover safely if one engine failed rather than crashing over enemy territory, would have considerable appeal. Power is believed to be provided by two General Electric J97-GE-3 engines that were originally built to power the single-engined AMQ-91 Compass Arrow, a stealthy UAV designed to cruise over China at 80,000 ft gathering intelligence on China’s nuclear programme that was cancelled in 1971. In 1988 a NASA paper reported that 24 of the J97-GE-3 engines were in storage at their AMES research center. The fact that NASA thought or was directed to store these highly specialised engines at their AMES research center, as opposed to them ending up on the scrap heap somewhere is significant. Perhaps even back in 1971 someone realised that at some stage in the future a requirement would re-emerge for a high-altitude UAV and that these engines would once again be capable of proving the necessary power. With their Polecat Lockheed demonstrated their ability to design, build and fly a stealthy UAV in a short timescale using many off-the-shelf components, but I suspect the release of this information was designed to distract attention from another activity, possibly involving PHAE. Consequently, I would imagine that some development version of the PHAE is already flying but, to ensure the actual design remains a mystery for as long as possible, I imagine it will be a considerable time before any detailed photos are released to the Press. To enable the USA to project power on a global basis, without having to first obtain overflight rights from various foreign countries, the Defence Advanced Research Projects Agency (DARPA) are exploring a number of advanced concepts, including the hypersonic FALCON, enabling high-value targets anywhere in the world to be attacked within two hours. However, before a target can be attacked it must first be clearly identified and this has lead to research into the possibility of delivering a completely new concept of obtaining ISR data at short notice to support the Global Strike concept. Another new-start technology demonstration programme recently launched by DARPA is the Rapid Eye system, which if successful, would be capable of providing high-resolution surveillance and reconnaissance imagery of potential targets anywhere on the planet within one hour. The Rapid Eye system proposes using a folding or inflatable-wing high altitude long-endurance UAV that is deployed by an intercontinental ballistic missile or a commercial launch system. 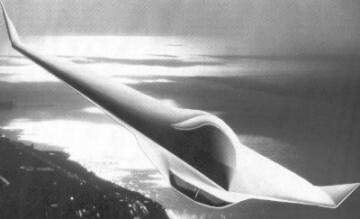 The UAV would be contained within a re-entry vehicle to protect it during the rapid deceleration phase of entering the atmosphere, then it would have to slow further and allow time for the UAV to re-configure itself before separation, allowing the UAV to take up station at 50,000 – 60,000ft where it would remain for up to seven to fifteen hours. 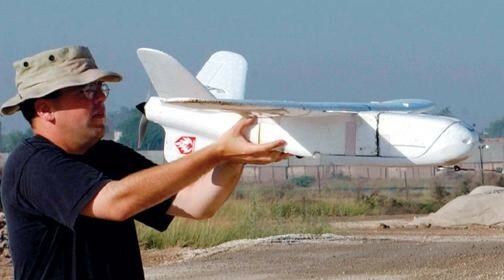 The concept calls for the UAV to be capable of carrying a 500lb payload and be capable of providing 5-kilowatts of power to power on-board sensors that could include a Synthetic Aperture Radar (SAR), a Ground Moving Target Indicator (GMTI) and high bandwidth communications and electro-optical sensors. The development and operational use of the E-3A AWACS, E-8C JSTARS and RC-135 Rivet Joint aircraft has given the USA a unique and comprehensive C4ISTAR capability, allowing commanders to quickly identify potential threats as well as controlling and directing their forces in the most efficient manner. However, technology has matured considerably since the design of these systems, particularly in the size and performance of Ground Moving Target Identification (GMTI) and Synthetic Aperture Radar (SAR) technologies, as demonstrated by their use of the Global Hawk UAV. However, both a conventional aircraft and a UAV take time to deploy to a specific theatre, require significant logistical support and have endurance limitations - weakness that any replacement system would need to address. Consequently, in 2001 when the Secretary of Defence to the Air Force was considering the possible options to replace these systems, it was decided to instigate the development of a programme to investigate the deployment of a Space Based Radar (SBR) system that could undertake all the functions of these 3 aircraft from the lofty reaches of earth orbit. The planned Space Radar (SR) will be the culmination of the concept analysis and technology risk reduction program. A decision will be made on what type of satellite system to develop. The three candidates include a Mono-static SBR, a Bi-static SBR with Geosynchronous (GEO) transmitters and Medium Earth Orbit (MEO) receivers, or a Bi-static SBR with Geosynchronous transmitters and Unmanned Aerial Vehicles (UAVs) equipped as receivers. Potentially an SBR system could provide world-wide coverage with little deployment time and at far less cost than the current systems. However, global events have moved on since 2001 and now, rather than attempt to develop a world-wide system, the focus for development has shifted towards theatre support of deployed forces. Unsurprisingly, the nominal Rivet Joint requirements have not been made public. However, as whole generations of ELINT satellites have been in orbit for many years, and the ability of low and medium earth orbit, and in particular geosynchronous orbit satellites to undertake this functions is well known, the SBR Rivet Joint requirement is probably just an enhancement of systems already in place. The benefits of an SR system have been understood for some time. 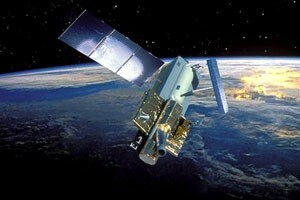 Back in 1995 the Mono-static SR system was developed by SMC, ACC and AFSPC during a Space Sensor Study. Two designs consisted of either 24-30 radar equipped satellites at 1400nm or 9-10 satellites operating at 5600nm from earth. The radar’s would need to be capable of operating at appropriate frequencies for either the AWACS or JSTARS role and data-linked to ground stations for command and control. These systems would have a theoretical field of view over the entire earth, apart from near the poles. However, in practice the desired Area of Operations (AOR) would be up to six 350nm areas, designated by the battlefield commander, that would roughly correspond to the current AWACS coverage for two theatres of operation. The AORs would receive continuous coverage – a 10 second revisit rate and the AORs could be quickly changed by re-focusing the phased array antenna feeds on the radar satellites. 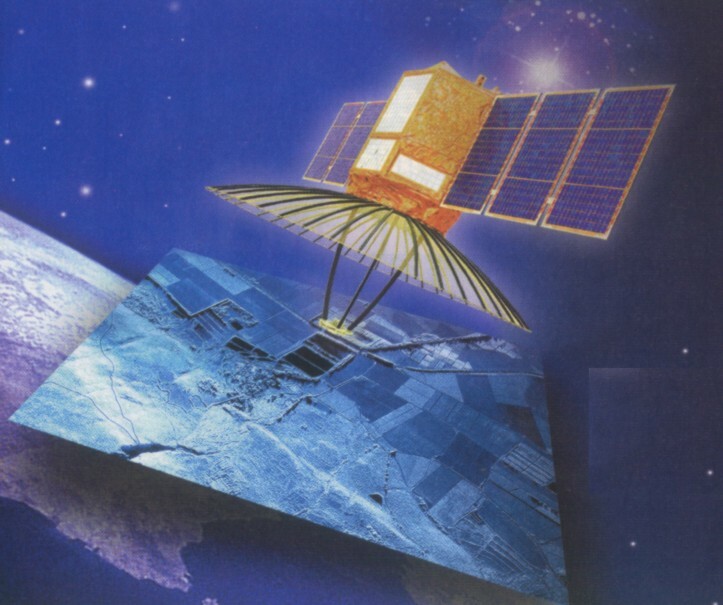 The Bi-static Geosynchronous/Medium Earth Orbit (GEO/MEO) Space Radar concept has been developed by ESC. The proposed system consists of three to four radar transmitter satellites at geosynchronous orbit, combined with 24-36 receiver satellites at MEO. The theoretical coverage and control methods would be similar to those for a monostatic system. However, due to the "fixed" locations of the GEO transmitters, the size of the antennas, and the revisit rates required, one transmit satellite would be dedicated to each theater of operation. Orbital positions would be adjusted if necessary to provide appropriate instantaneous fields of regard. The use of bi-statics requires fewer transmitters than the mono-static constellations, and would also allow for a lighter fleet of receiver satellites at MEO. However, the bi-static approach would also result in a significant increase in signal processing to match filter the target return signals received at the MEO satellites, and polar coverage is not possible. Thus the tradeoff between mono- and bi-static concepts is weight vs. signal processing power and flexibility. A Bi-static GEO Space Radar would include a constellation of 3-4 GEO transmitters equipped with an L-band radar for airborne warning and control missions which would require a 100 m dish that would weigh 30,000 lbs and require 20+ kw of power. A Joint STARS-like radar in geosynchronous orbit would function in the S-band and would require a 25 m dish which would weigh 6,000 lbs and require 2 kw+ of power. The MEO receivers would include a constellation of 24-36 receivers at an altitude of 1600 km. For AWACS-like missions, the MEO satellites would require a 35 x 35 m array weighing 10,000 lbs. A Joint-STARS-like mission would require a 10 x 10 m receive array that would weigh 4,000 lbs. The SR system is being designed to complement, rather than compete with, the Global Hawk and other wide-bodied ISR aircraft under development. However, as the technology matures and higher powered radars and more sensitive receivers become available, there is little doubt that the capabilities of this system could soon encompass a number of ISR roles currently covered by fixed-wing aircraft. However, it has become apparent that, although the SR was conceived to replace the AWACS, that task is currently too technically challenging at the moment and this capability is unlikely to be developed until around 2015-2020. Currently, the main objective of the SR programme is to field, by 2010, a space borne GMTI capability for theatre commanders enabling moving targets to be tracked by day or night, in any weather, from orbit. Notional funding profiles suggest an SR could cost some $700-800m per year by 2008 and it will be interesting to see how this capability is developed over the next few years. Nevertheless, although much of the necessary technology is well known, particularly active electronically scanned arrays and synthetic aperture radar, it will be interesting to see how long it takes for the SBR system to become fully effective. Provided sufficient funds are forthcoming, it is possible that by the end of the decade fused data from AWACS, JSTARS, UAVs and an SBR system could be piped directly into the cockpit of an aircraft en-route to a target, giving US forces an even greater advantage over any potential adversary. In 2005 the Space Based Radar programme was re-named Space Radar and hit more problems, with the planned on-orbit demonstration cancelled, whilst Congressional and intelligence officials continue to disagree over the efficacy of the proposed demonstration. Congress also voiced great concerns over the high cost of the programme, as well as highlighting significant differences between the military and intelligence communities regarding the systems actual use. To try and resolve these problems an inter-agency panel was formed to sort out the problems and this panel is concerned that there is no gap in satellite coverage between the end of the Future Imagery Architecture (FIA) and the coverage provided by the Space Radar programme. However, this would mean that the first Space Radar satellite would have to be launched in 2015, which also means that a decision to start the System Development and Demonstration (SDD) phase must be made in 2007. Then in Jan 05 the Air Force Secretary, Peter Teets, muddied the waters by restructuring the programme and adding a demonstration of two one-quarter scale on orbit satellites in 2008 costing between $200 – 400 million, using funds earmarked for the SDD, pushing the launch of the first operational satellite back to 2017-8. Unfortunately the idea of an on-orbit demonstration is not supported by either industry contractors or the intelligence community, almost guaranteeing that the idea will be killed by Congress, whilst still allowing the basic programme to survive. Nevertheless, this is yet another disruption to this vital programme and, added to the many people who doubt whether the technology can be made to work in the time available, will only cause the spotlight to refocus once again on this ambitious project. One of the major stumbling blocks in the differing requirements of the intelligence and military communities is whether the Space Radar system should have a MTI capability. A SAR satellite sufficient for the requirements of the intelligence community would probably only require a relatively small antenna of around 40 square meters, however, the MTI capability sought by the military, sufficently sensitive to track ground vehicles travelling at 30 kilometeres per hour, would probably require an antenna as large as 100 square meters at vastly increased cost. Another area of serious concern is the total estimated cost of the proposed Space Radar system. Estimates for a nine satellite sustem with 40 square meter antennas range bwteen $35 - $50 billion, but given the inability of recent military space systems to stay within budget and the complex immauture technologies involved, there would be every chance the final cost would be more than double this figure. However, despite the urgent need for the capabilities that would be provided by Space Radar, the doubts about the technology planned for the system and the potential costs involved gathered. Finally, in March 2008 the NRO notified Northrop Grumman that they were terminating the Space Radar programme. In the end this was not a difficult decision to make as the projected costs were becoming too high and the NRO and Air Force had failed to agree on system requirements and control. In an attempt to try and still try and leverage some capability in this area, the US Air Force is now attemting to see if it can benefit from paying for access to data from international and commercial radar satellites already in orbit. 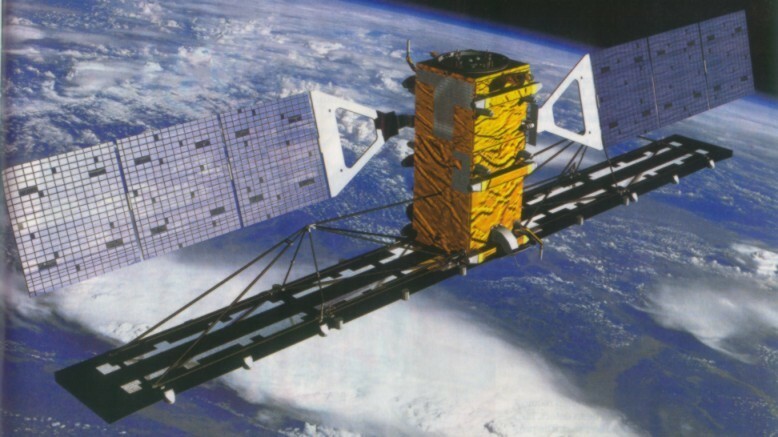 Currently in orbit are the Canadian Radarsat-2, the German SAR-Lupe constellation and the Israeli TecSAR satellite and funding has been requested from "all radar data providers and space radar system developers" to allow access to commence as early as 2009. Radarsat-2 was launched in Dec 2007, the last of the five SAR-Lupe satellites was deployed in Jul 2008 and TecSAR was launched in Jan 2008, so whilst these modern systems would not have many of the bells and whistles that Space Radar would have provided, drawing data from all of them would nevertheless still go some way to providing the capability sought by the US Air Force. The first step in this process will be a demonstration period when the performance, capability and utility of the radar data available from the current systems can be evaluated and the necessary operational concepts agreed. At this stage it's difficult to estimate when this commercial capability could be available, but it makes sense to use the technology currently available to provide some capability, whilst allowing time for the advanced technologies necessary for the more ambitious Space Radar to reach maturity. The USAF has learnt, through sometimes bitter experience, that however good a design looks on paper, it’s only by actually building, flying and thoroughly testing a design that its true capability can be determined. In recent years this practice has been used to good effect for a number of manned aircraft was also used in the development of the Dark Star and Global Hawk UAVs. Even though the Global Hawk has just begun full-scale production and entry into service and the Dark Star has evolved into a larger ‘black’ UAV, the Air Vehicles Directorate element of the Air Force Research Laboratory (AFRL) at Wright-Patterson Air Force Base, Ohio has already begun developing the concept of a next-generation advanced UAV to replace these vehicles. Throughout the remainder of this decade the AFRL will investigate a wide variety of the latest sensors, communications links, air vehicle components and propulsion systems and consider how they can all be incorporated into the concept of a next generation long-range high-altitude ISR UAV – known as SensorCraft. When and if it finally enters service, this cutting-edge vehicle will carry an integrated mix of radar, cameras, ELINT equipment and data links, whilst orbiting a battlefield at 65,000ft for between 60-80hrs at around 350kts, gathering intelligence and passing it onto supporting elements in near real-time. For the design of SensorCraft the traditional design process has been reversed. In previous UAV designs the vehicle has been constructed and then the sensors have been incorporated into the available space. In SensorCraft the optimum mix of sensors will be determined and then the vehicle design moulded around the systems, with sensor apertures embedded in the fuselage as necessary. This unusual approach to UAV design has already resulted in some radical proposals; in particular, a diamond shaped structure that would facilitate sensor coverage. Another proposal is for a flying-wing design, not dissimilar to the B-2 Spirit stealth bomber along with a large U-2 style design with a 200ft wing-span and an endurance of 60hrs. Particular attention is being paid to the sensors planned for this UAV and they will probably operate on a wide variety of frequencies, such as VHF to allow foliage penetration and X-band for improved image resolution, as well as hyperspectral and passive sensors. There’s even as possibility that the vehicle will be able to operate in a bistatic mode, allowing for passive operations, and be equipped with active countermeasures. As technology advances, this next generation Global Hawk could well have a combined Air and Ground Moving Target Indicator (AGMTI) built into an Active Electronically Scanned Array (AESA) giving it the air-to-air capability of an E-3D AWACS together with the air-to-ground function of the E-8 JSTARS. The SensorCraft concept will allow the ARFL to establish how evolving technologies develop and enable the programme to determine if they can eventually mature into a viable UAV. 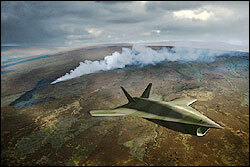 The ARFL aim to launch an aircraft programme around 2010 and the eventual system could enter service around 2020. For many years the RAF has been planning a replacement for their Tornado’s under a programme known as the Future Offensive Air System (FOAS). However, despite numerous years of planning and concept evaluations, it has now been decided to refocus the programme completely on a family of long-range, long-endurance UAVs encompassing combat, reconnaissance and surveillance roles. The new programme, known as the Future Combat Air Capability (FCAC) will rely on some legacy programmes, platforms and weapons already in service or on order, to meet the original goals laid down for the FOAS. In addition to the capabilities provided by the FOAS platforms, the MOD have decided to add additional capabilities by including a UAV and a UCAV in the new plan. Under the MOD’s Strategic Unmanned Aerial Vehicle Experiment (SUAVE), a whole range of UAV and UCAV technologies will be tested and inform a number of procurement decisions which will eventually lead to a replacement for the capability currently provided by the Tornado. This decision has probably been a bitter pill for many people in the higher echelons of the RAF, particularly the aircrew involved to the FOAS programme, reflecting as it does the obvious conclusion that UAVs and UCAVs will probably be the predominant reconnaissance, surveillance and offensive systems of the future RAF. However, the likelihood of a huge aircraft programme being given financial support in the current austere climate is slim to non-existent and this decision is nothing if not pragmatic. The RAF is shrinking and, if the present financial restraints continue, will probably continue to slowly shrink below the currently planned 42,000 personnel, despite more people being deployed on ‘peace-time’ operations than ever before. The introduction of UAVs and UCAVs into operational service will almost certainly be used as an excuse for further reductions in personnel. Given these probable changes, it’s likely that the offensive capability of the RAF of 2025 will consist of just two fast-jets, Typhoon and JSF, together with armed UCAVs and the Nimrod MRA4. Like many other countries in NATO, the UK’s armed forces have a whole variety of ISTAR systems either in service or on the drawing board. However, these systems were originally designed to work in isolation and with the UK in the process of planning a Network Enabled Capability (NEC) for their armed forces it is essential that somehow these systems are made to work with each other, rather than in the classic ‘stovepipe’. It has recently been announced that General Dynamics UK (GD UK) have been awarded a £3 million contract for a 17 month programme to achieve interoperability between current and future UK ISTAR systems, known as the Modular Exploitation Capability (MEC) Technology Demonstration Programme (TDP). Among others these ISTAR systems include ASTOR, Watchkeeper, RAPTOR and the new Soothsayer electronic warfare system being developed by Lockheed for the Army and Royal Marines. A MEC scooping study has already been completed which defines the MEC architecture together with a number of implementation options. GDUK hope that the subsequent TDP will ratify the basic design of the system, as well as conducting selective technology demonstrations to reduce risk in the eventual implementation phase. Once this basic technology is stable, the hope is that it will be followed by a carefully costed, low risk MEC migration strategy which can be rapidly rolled out across the UK armed forces. I for one wish everyone involved in the MEC programme the very best of luck – the chances are that they will need it and a whole lot more besides. Integrating IT complex systems is fraught with difficulty and the UK government, and the MOD in particular, have a long, sad and very expensive history of failures in this area. Of course in an ideal world someone high up the food chain 10 years ago would have had the foresight to see that this capability would eventually be needed and then forced the various ISTAR programmes under development to adopt a common standard in certain crucial areas – had this been done then the planned integration would have been a relatively straight forward procedure. Money, or a lack of it, will be the key factor in the success or failure of this programme. Faced with the need to implement a similar solution in the USA, the DofD has thrown a very large amount of money around and is beginning to achieve the solution they need. As usual, the UK Treasury will only commit the absolute minimum they can get away with and I doubt it will not be long before GD UK come knocking on the MOD’s door asking for even more money if they are to have any chance of achieving their ambitious goal. The programme to replace the only UAV currently in service with the UK, the tired, old and fairly useless Phoenix UAV, has started to take shape. On 18 Mar 04 final bids for the £800M Watchkeeper Tactical Unmanned Air Vehicle (TUAV) contract were submitted to the MOD by the remaining two contenders still bidding for the programme – Northrop Grumman and Thales UK. The demanding specification drawn up for Watchkeeper resulted in both companies offering both short and long range UAVs to provide a mix of the necessary capabilities. Northrop Grumman offered the RUAG Ranger UAV that is currently in service with the Finnish and Swiss forces, together with the RQ-8 Fire Scout. 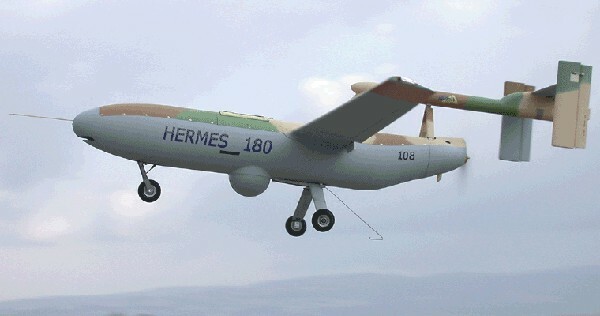 Thales UK offered versions of the Elbit/Silver Arrow Hermes 180 and 450, renamed the Watchkeeper WK180 and the Watchkeeper WK450, with both vehicles specifically adapted to meet the Watchkeeper specification. The winning vehicles would be expected to operate from unprepared, semi-prepared or prepared launch sites and could involve the smaller UAV undertaking one function or the larger UAV completing a number of functions during a single mission. The payloads carried by the UAVs would include Electro-Optical (EO) and Infra-Red (IR) sensors and a laser target designator. The US Government gave approval for the APY-8 Lynx Synthetic Aperture Radar (SAR) to be offered to equip either the Fire Scout or the Hermes WK450. The APY-8 SAR can provide a 4in imaging resolution from 35,000ft together with a Ground Moving Target Indication (GMTI) and will be manufactured in the USA. Data from the UAVs will be transmitted in near real time, either via a data link or more likely via an aircraft, such as the Sentinel R Mk1 or Nimrod MRA4, acting as an airborne relay. 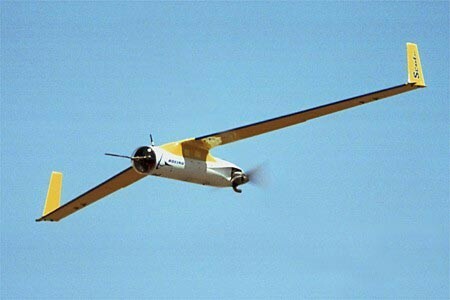 It was probably significant that of the four system on offer, three of them, the RUAG Ranger, the Watchkeeper WK180 and the Watchkeeper WK450, were all Israeli designed UAVs that would be built under licence. This time around the UK decided to take the sensible option of purchasing proven equipment from a manufacturer with a track record in successful UAVs, rather than attempt to get BAe or some other company with no track record in developing a single decent UAV, to try and cobble something together. On 20 Jul 04 it was announced that Thales UK was the final preferred bidder for the next phase of this programme. Thales UK will now enter into final contract negotiations to determine the number of systems, sensor packages, the precise configuration and delivery time scales. The formal contract signature for the demonstration and manufacture phase is expected to take place before the end of 2004 with the initial operating capability achieved by 2006 and full capability by 2008. Both the WK180 and WK450 will be produced at a new factory built alongside the existing Thales UK facility in Leicester. The Watchkeeper system is expected to remain in service for about 30 years, however, given the technical advances that are bound to occur during this period, I suspect they may actually be in service rather less time. Provided the necessary infrastructure is in place to adequately support the winning contenders, always a problem with the cash-strapped MOD Budget, the two vehicles selected should make a significant contribution to the Network Enabled Capability the MOD is aiming to have in place by the end of the decade.